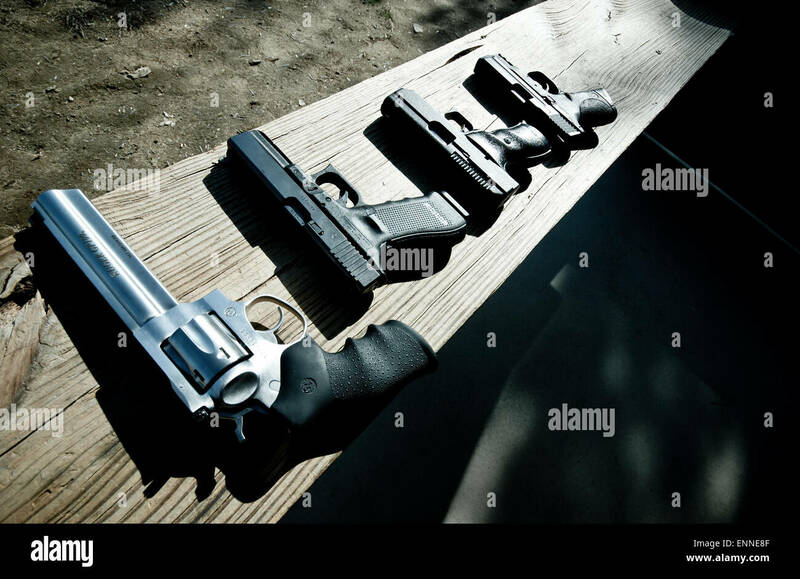 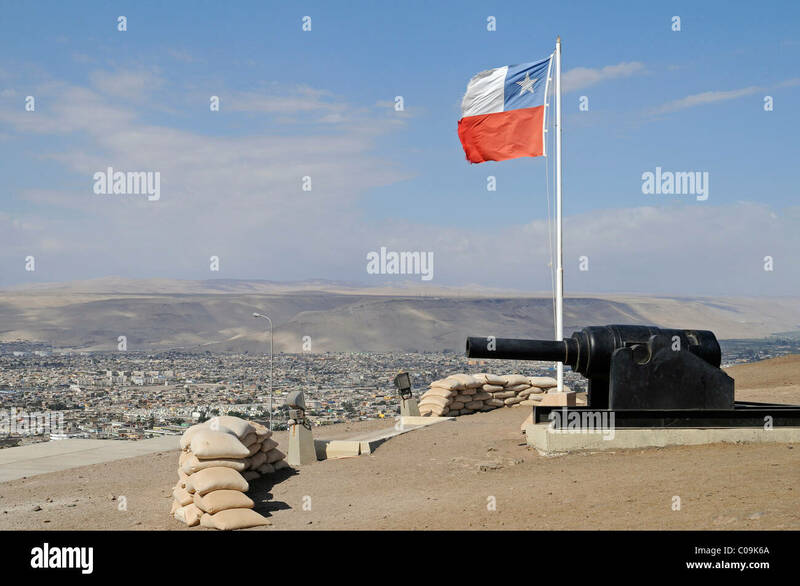 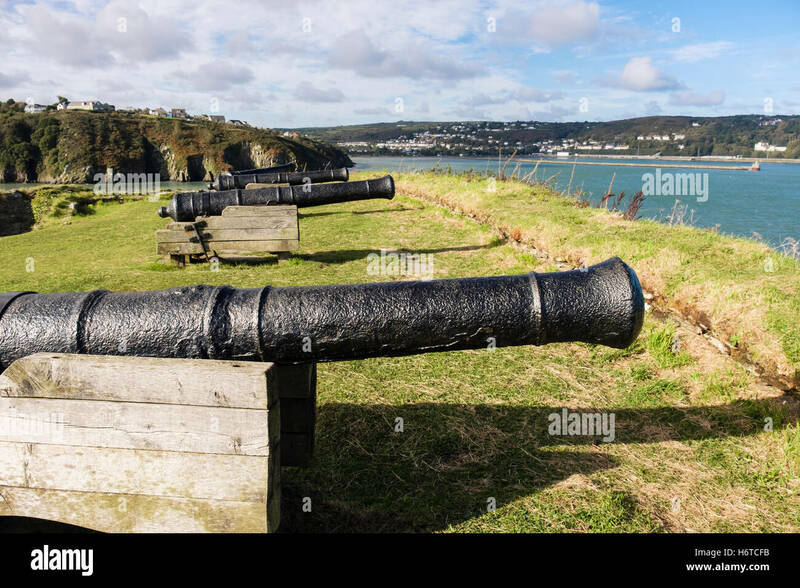 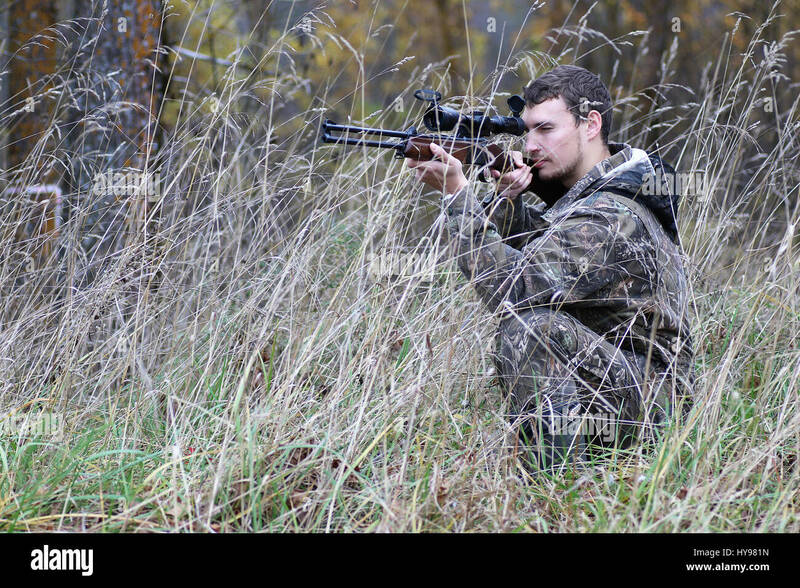 Guns at the firing range. 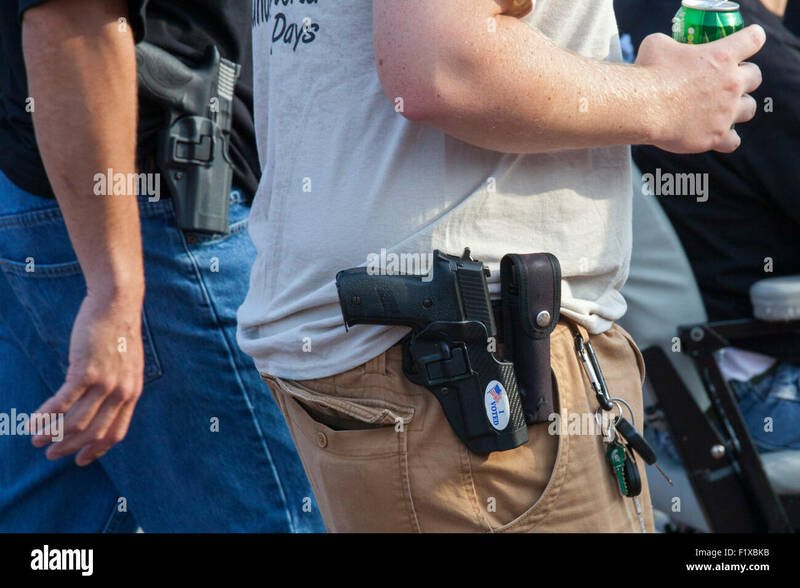 Detroit, Michigan - Members of the Ironworkers union openly carry hand guns during Detroit's Labor Day parade. 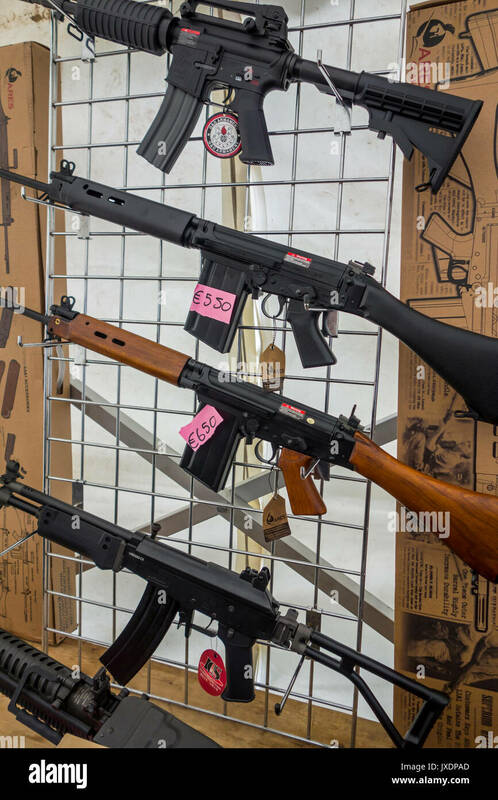 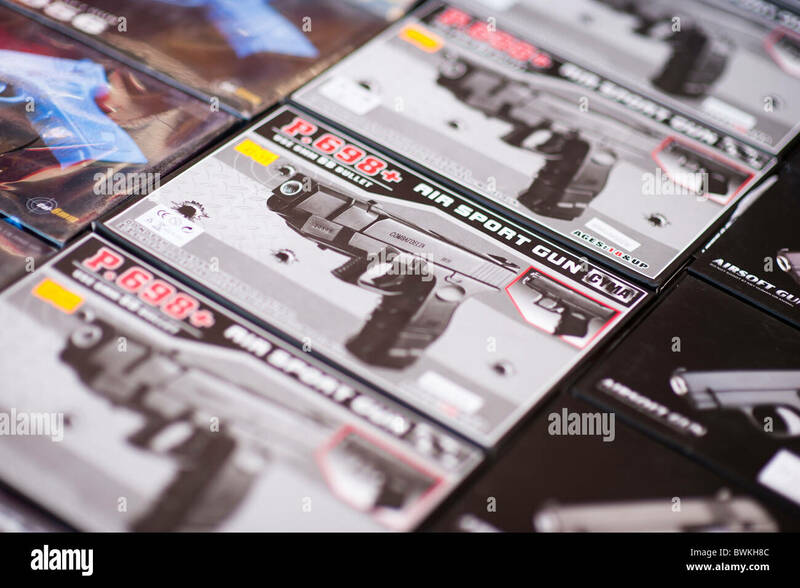 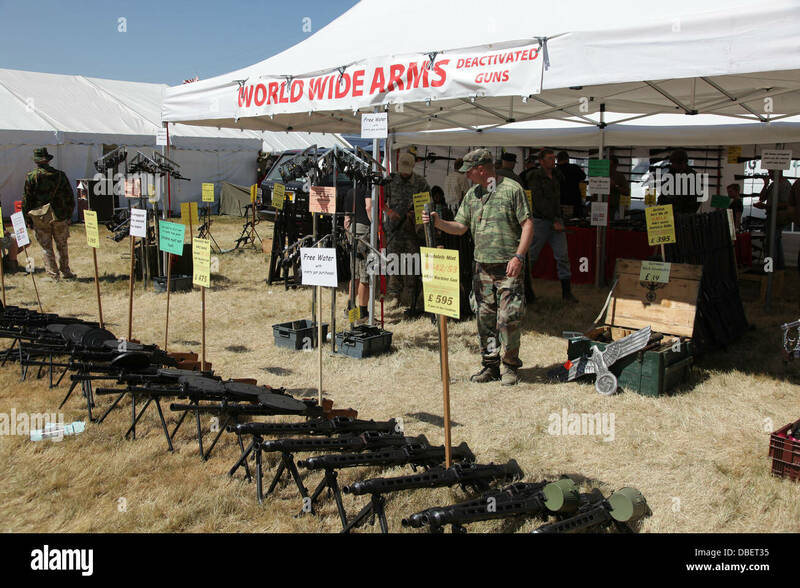 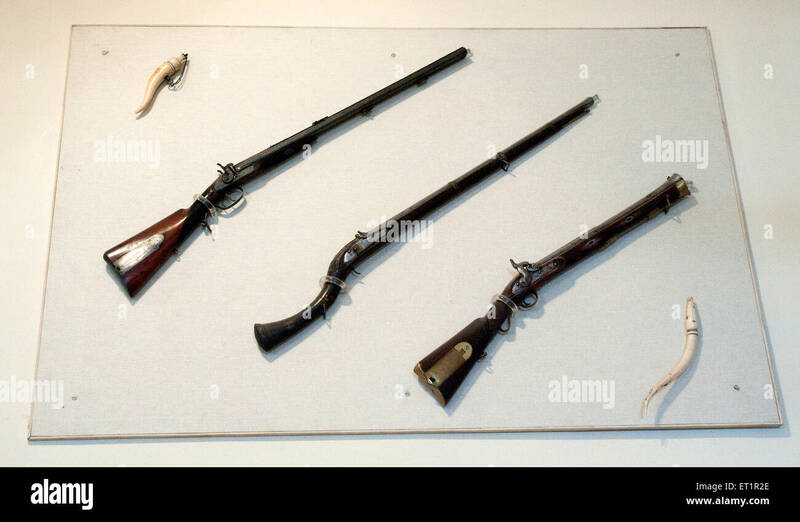 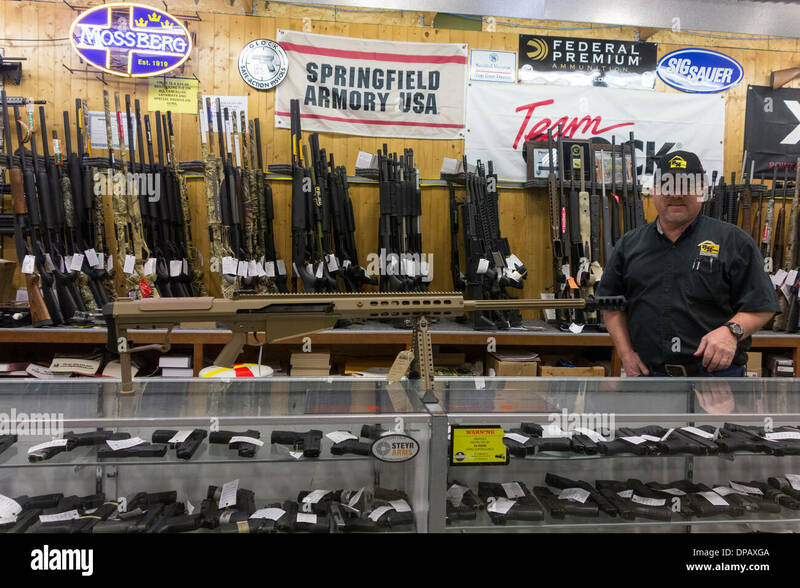 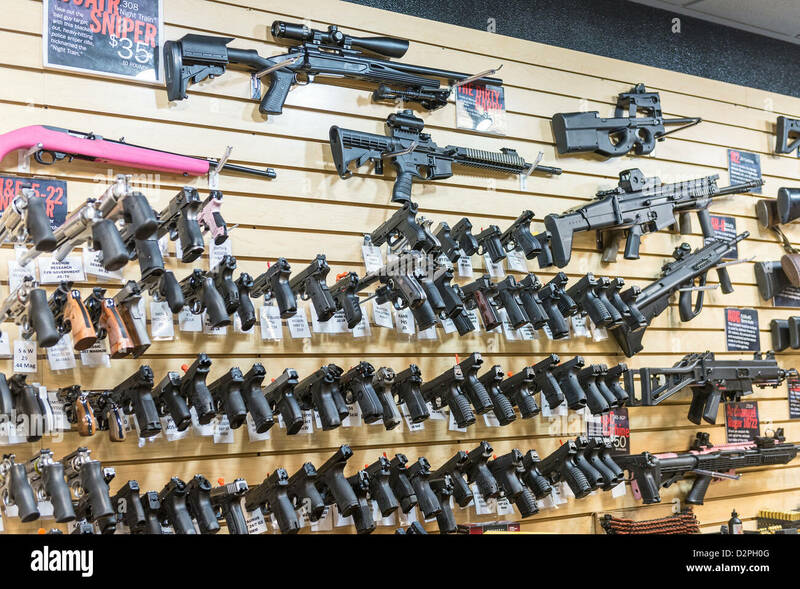 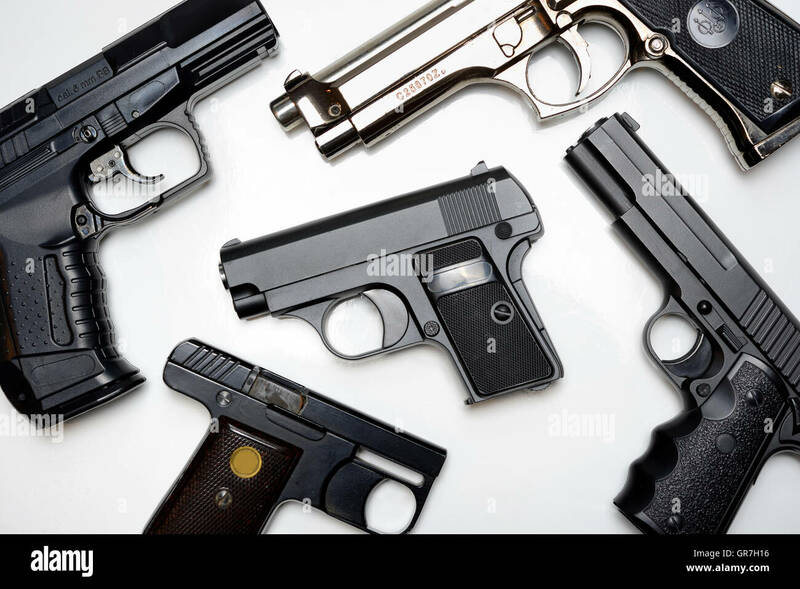 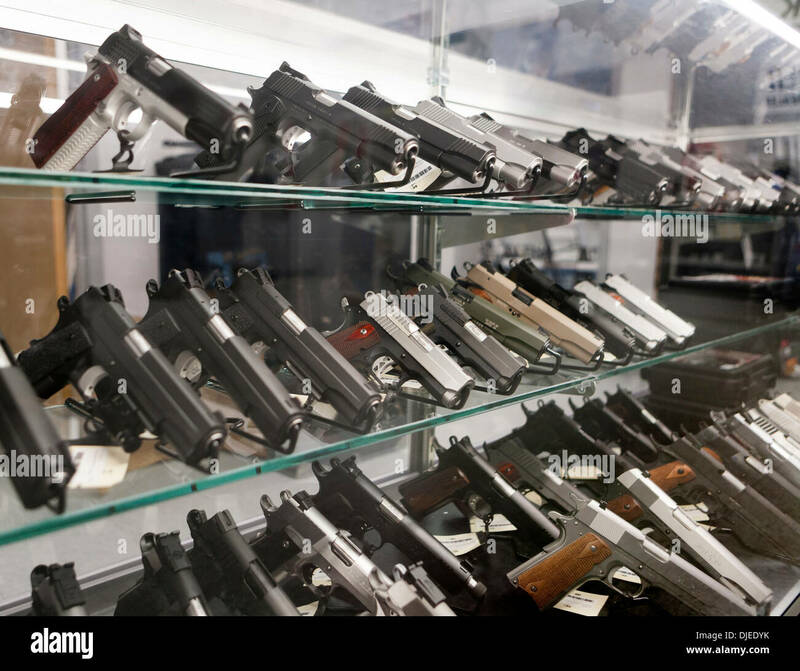 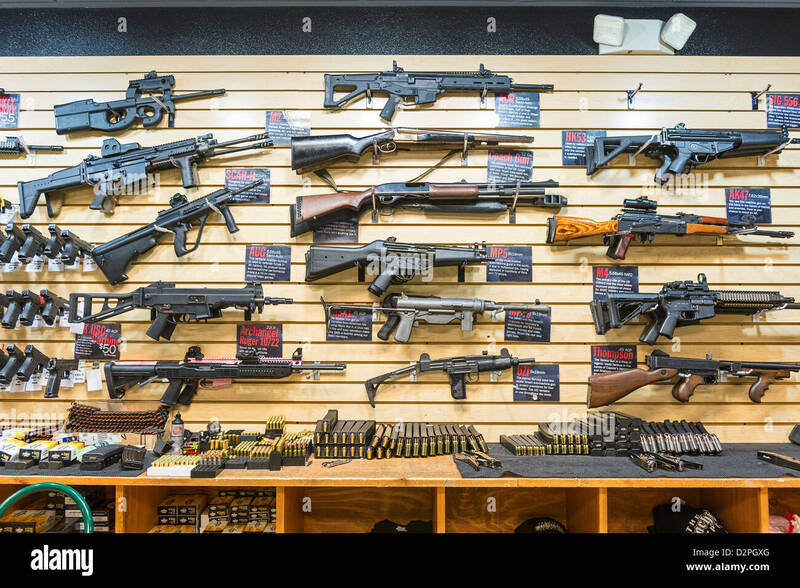 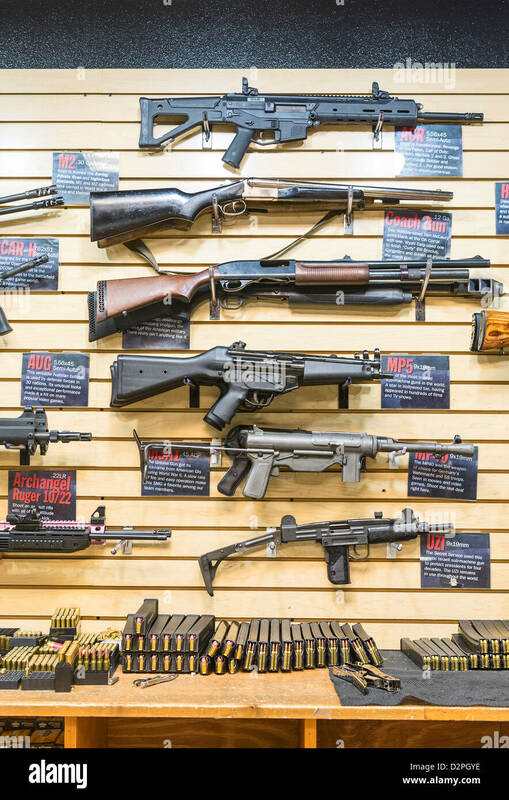 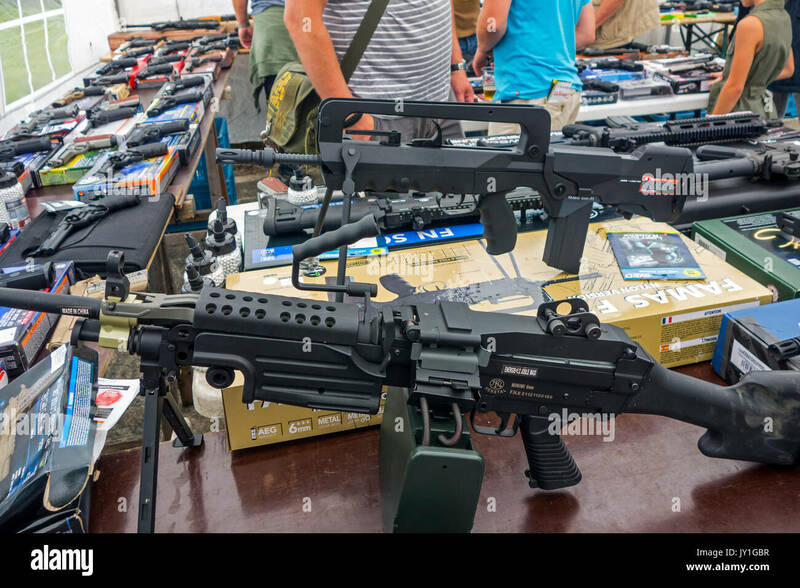 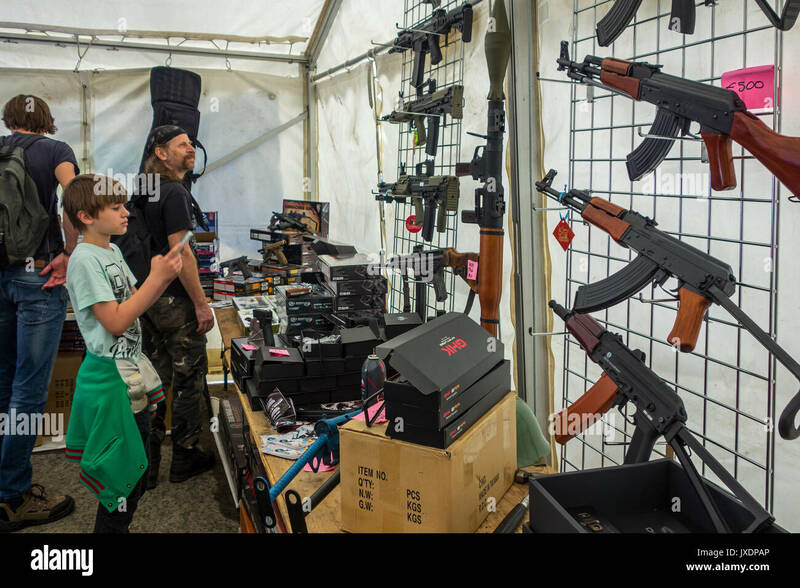 A large variety of guns, rifles, and weapons at a gun store. 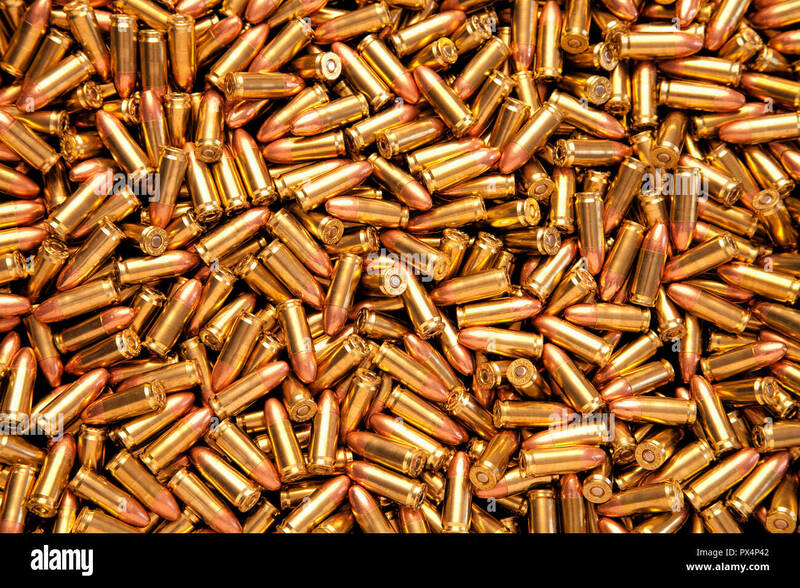 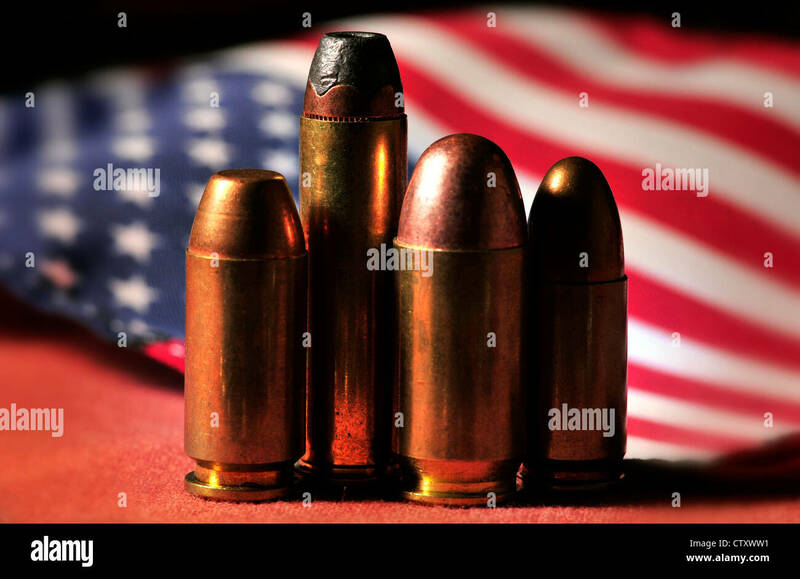 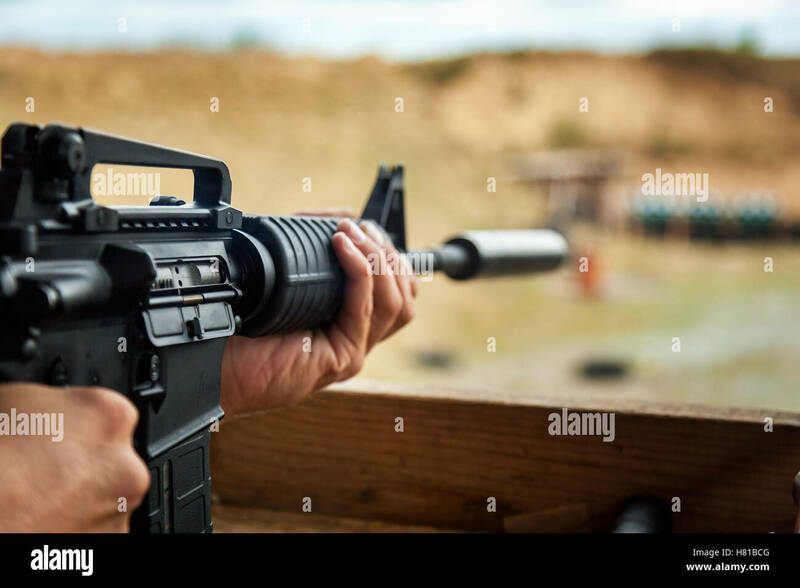 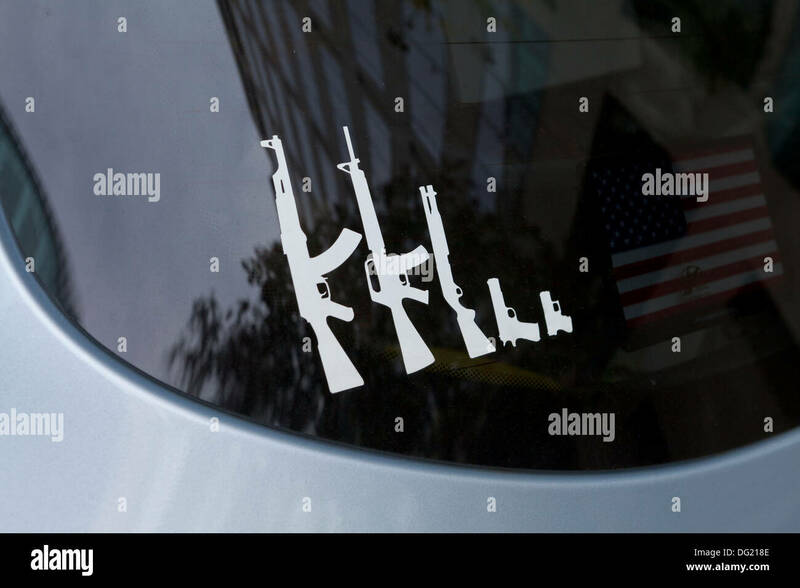 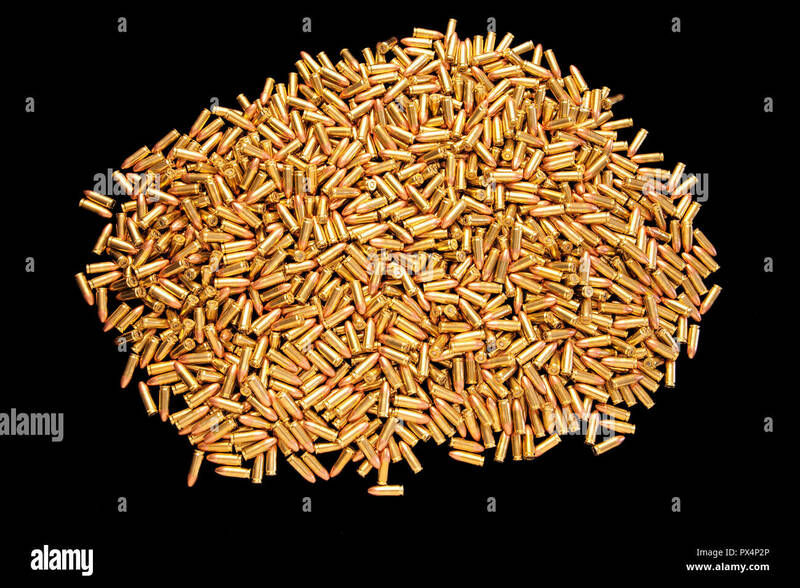 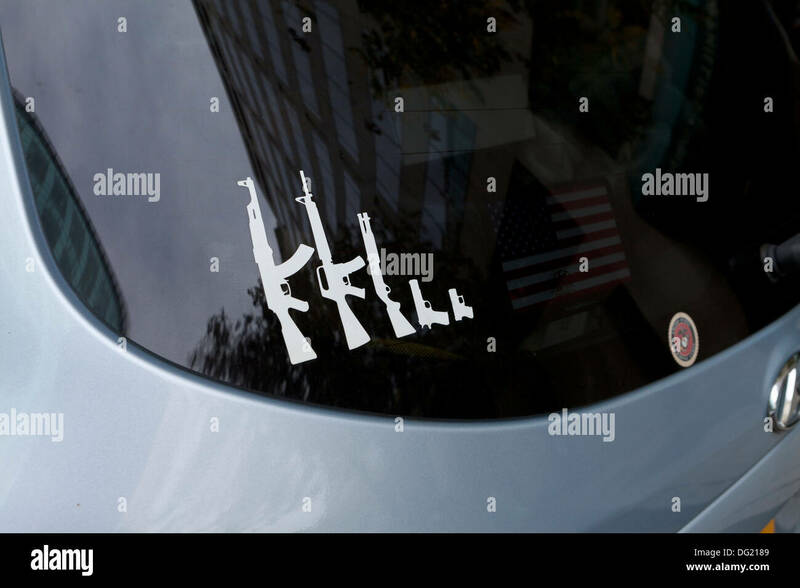 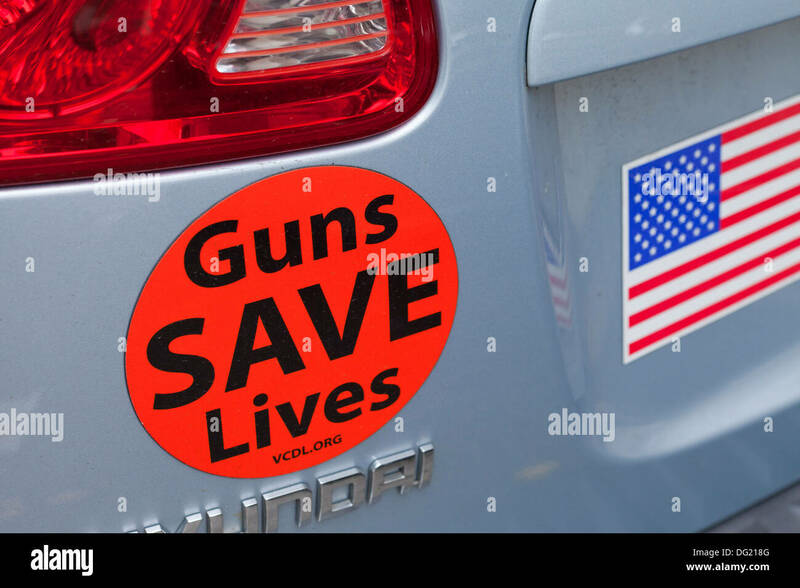 Undischarged rounds from guns with an American flag. 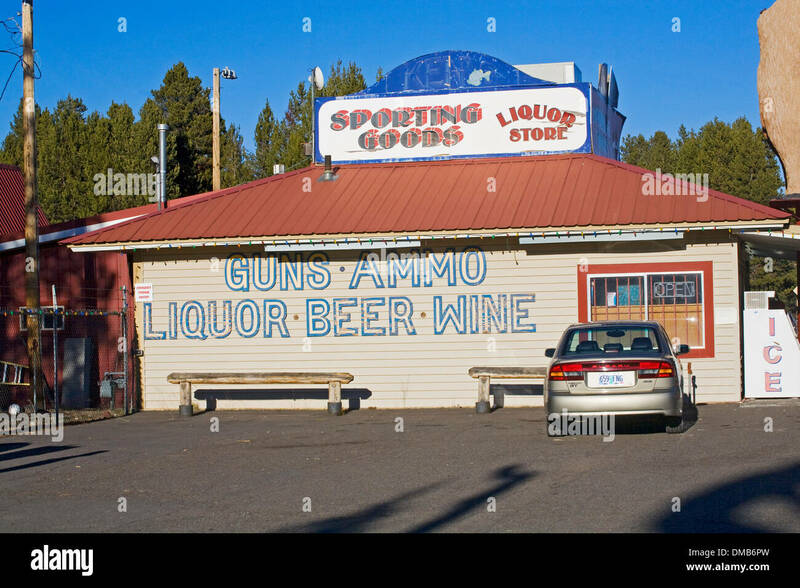 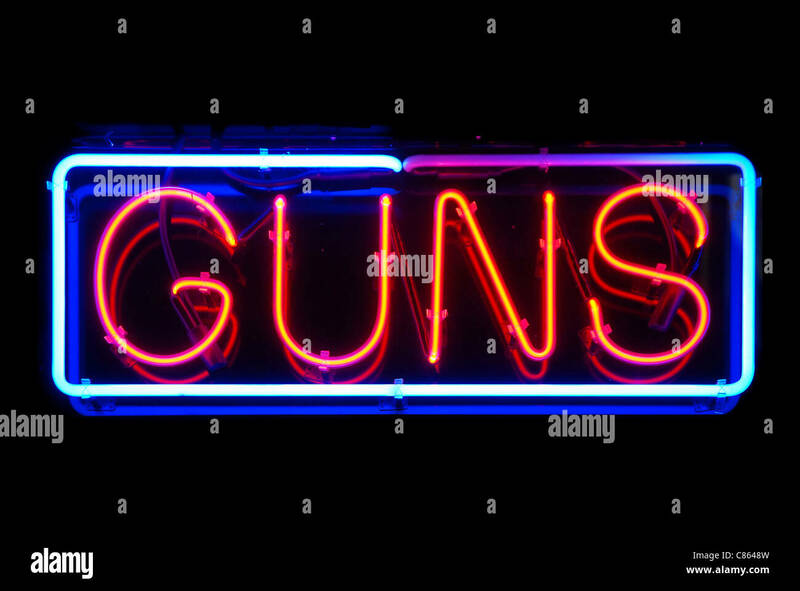 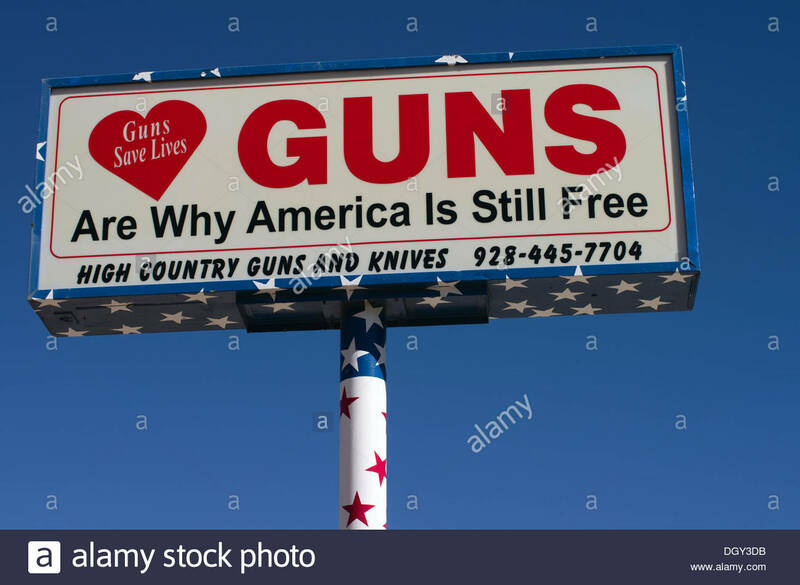 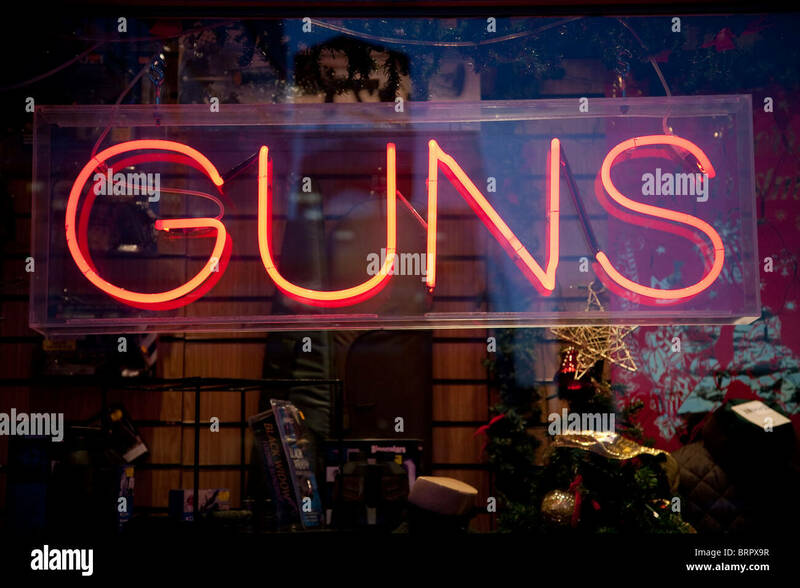 This sign, at a gun store in Prescott, Arizona, not only advertises guns for sale, but makes a political statement. 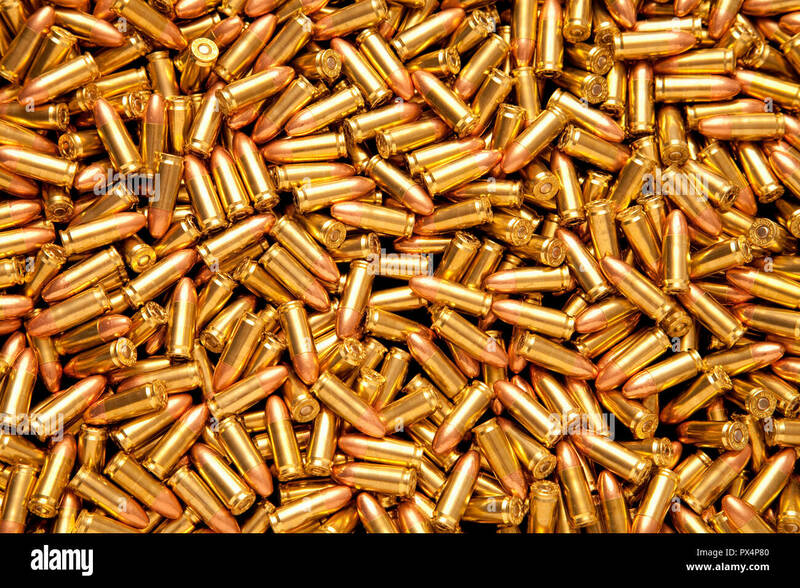 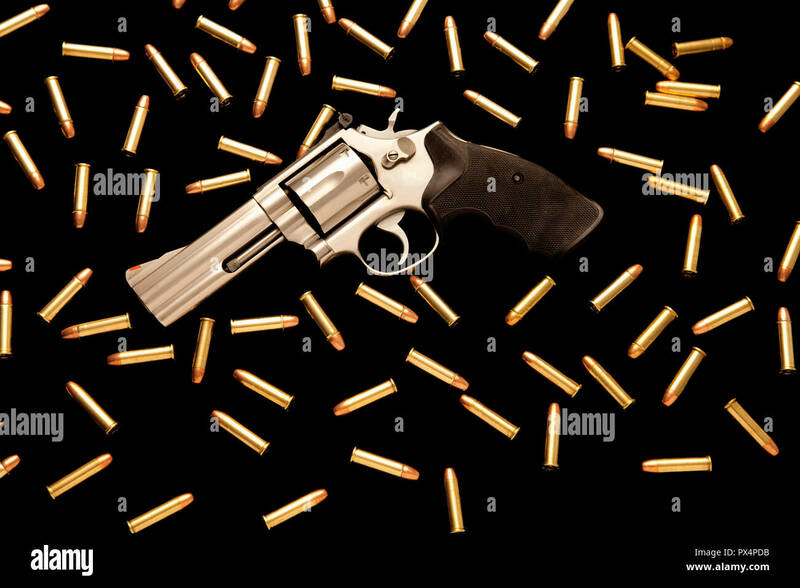 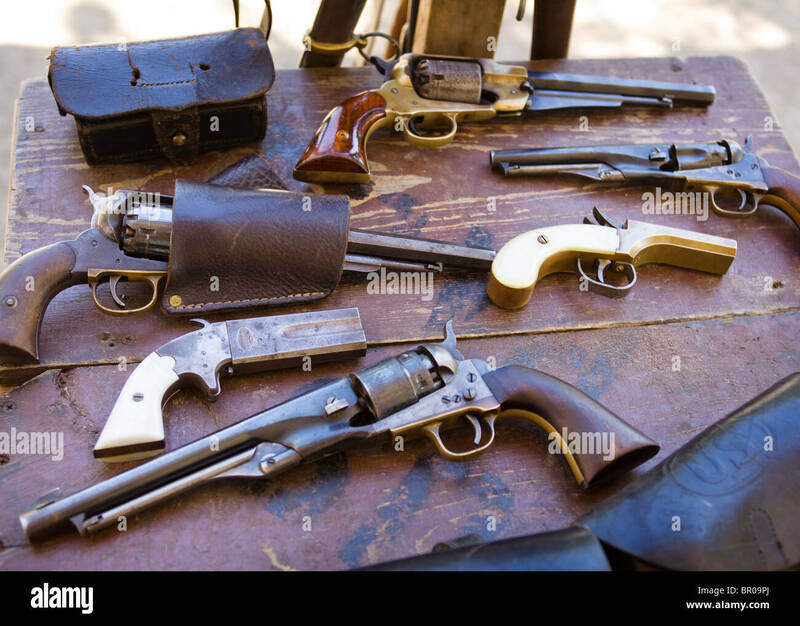 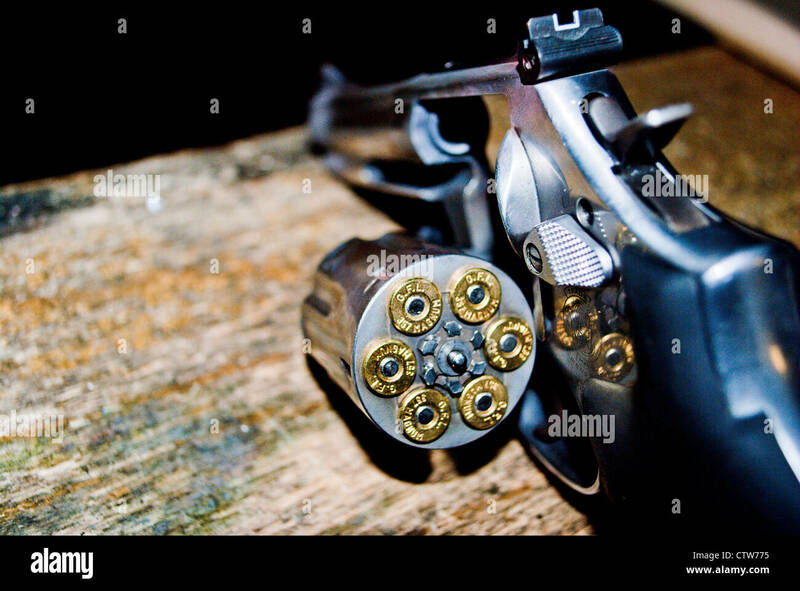 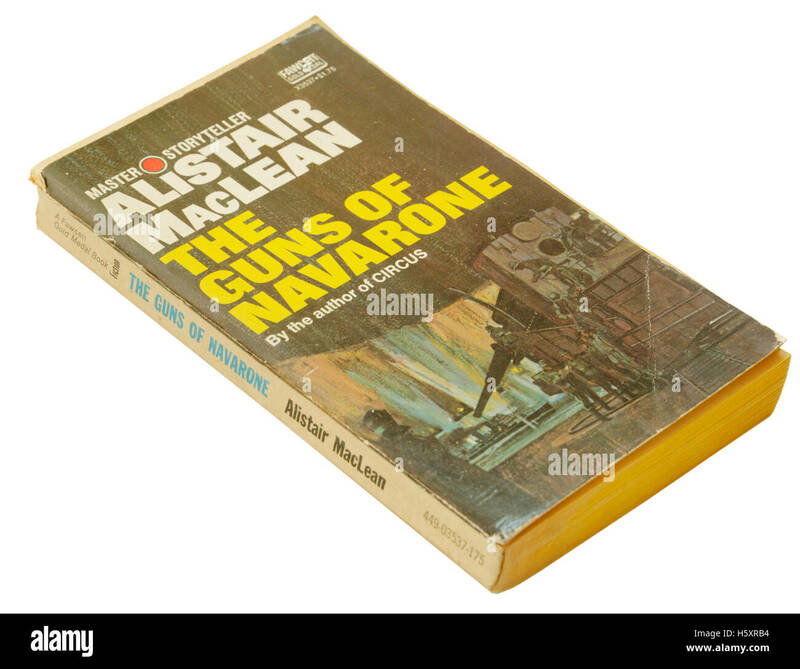 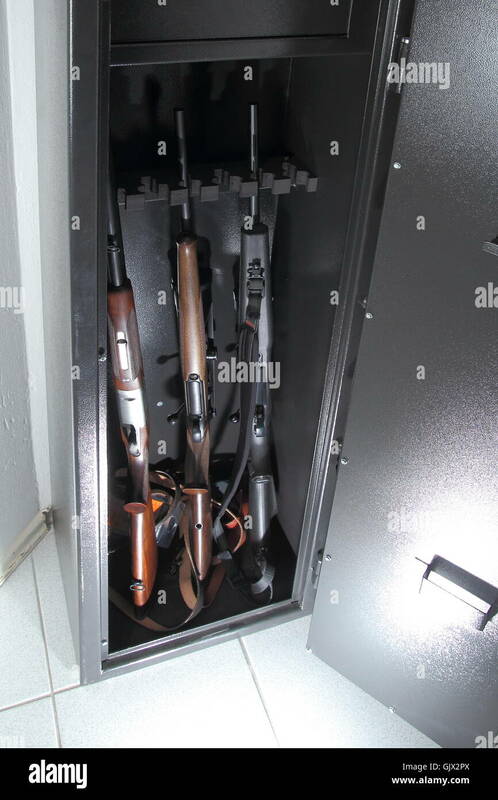 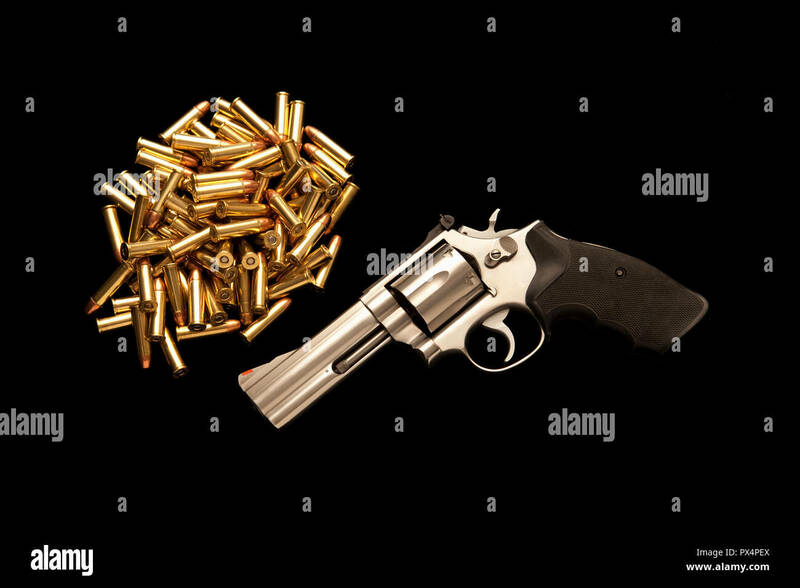 Bullets of the revolver in a chamber. 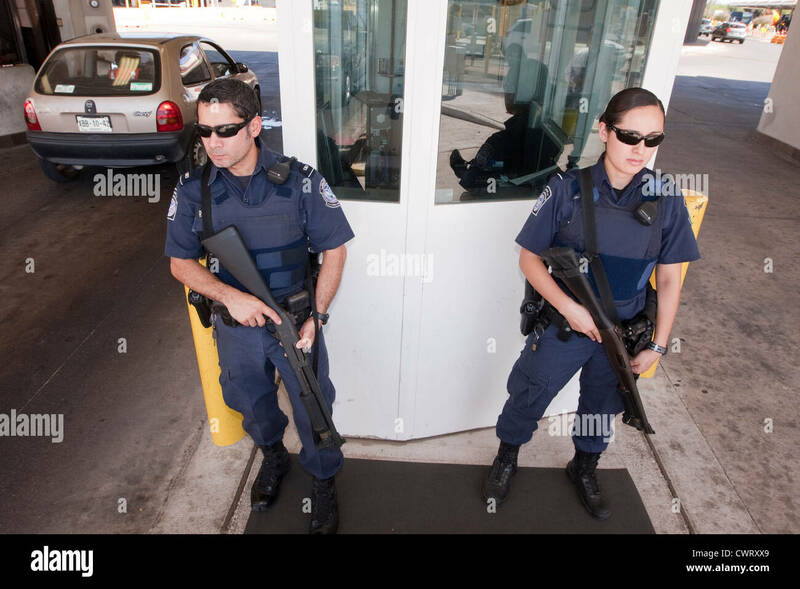 Armed police officers patrolling Brighton Pier in Spring in the UK. 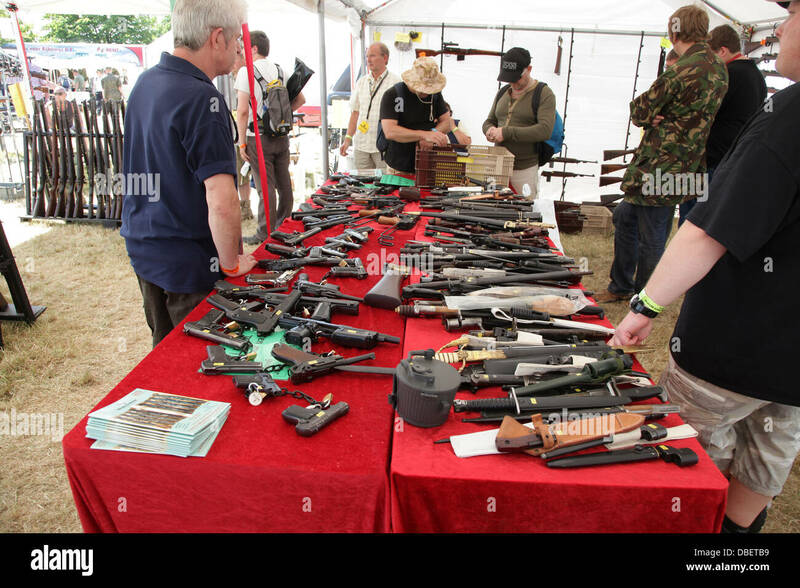 British police carrying guns at the seaside. 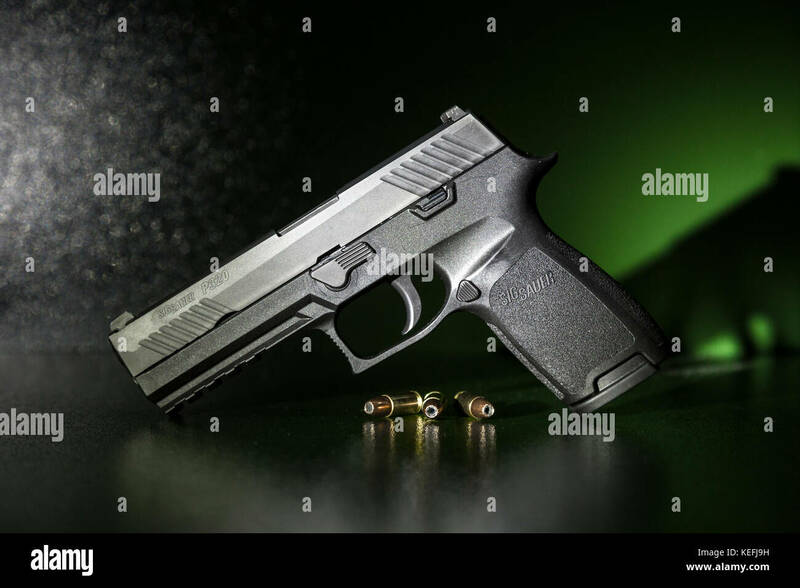 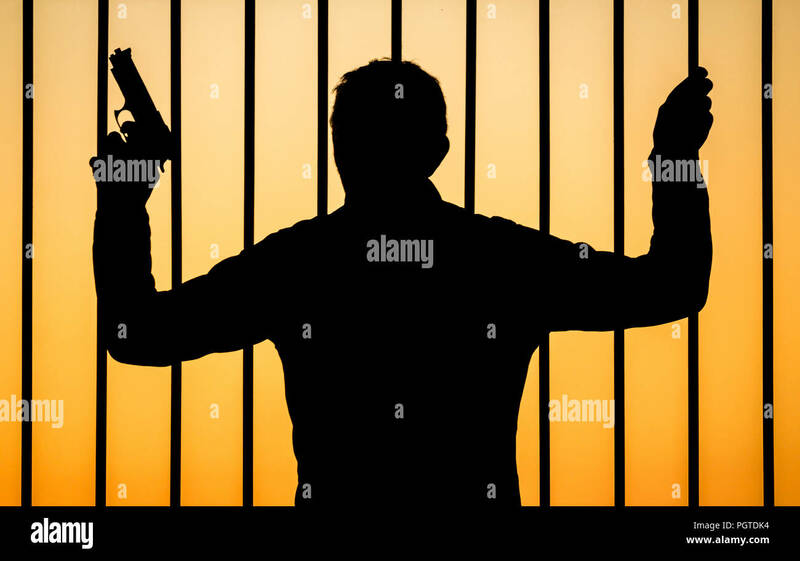 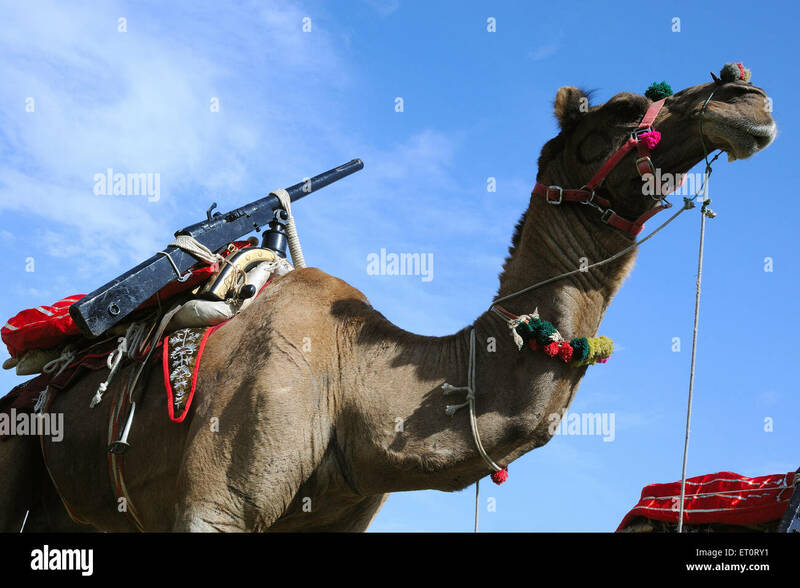 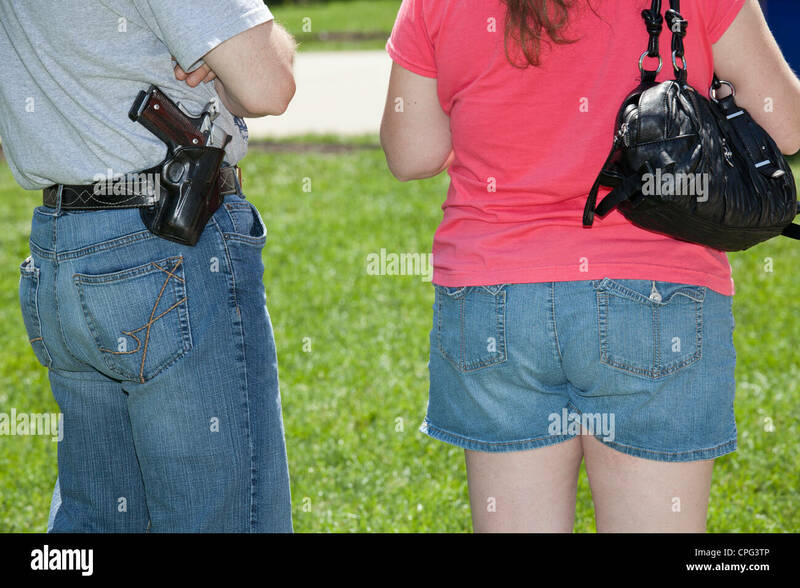 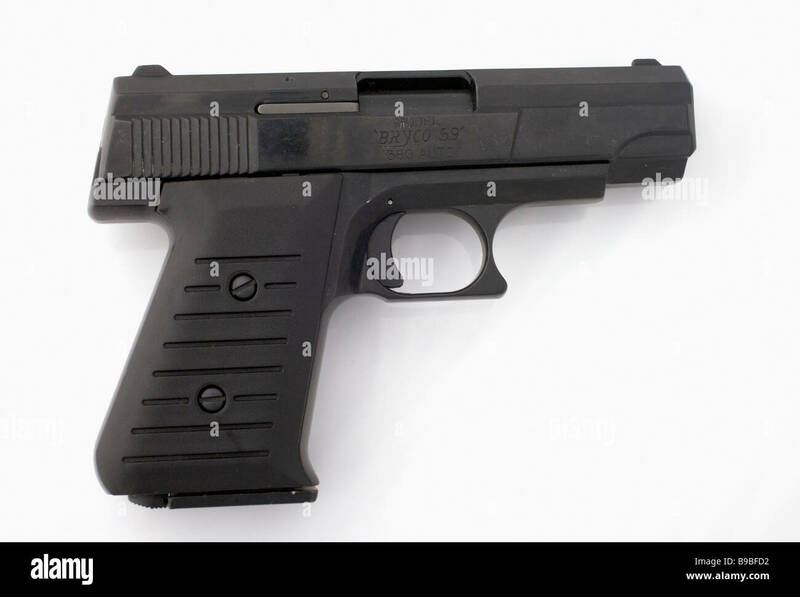 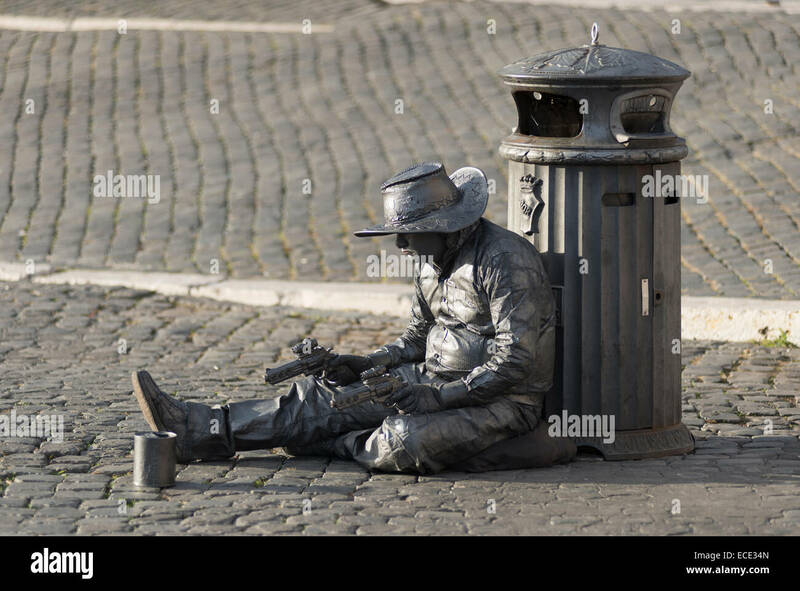 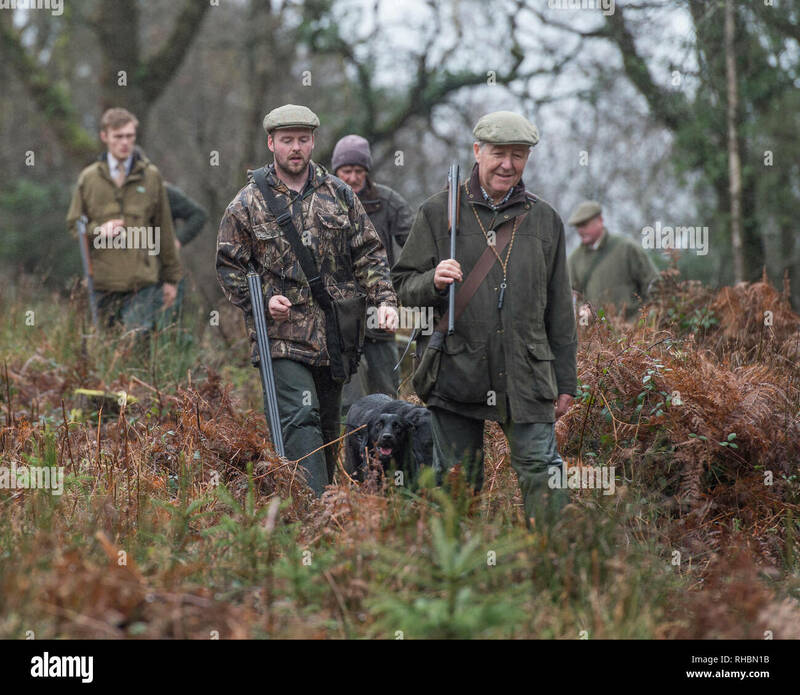 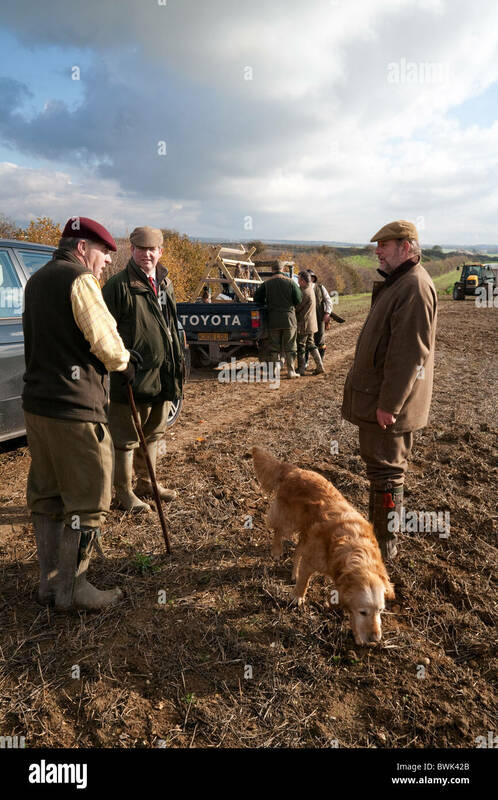 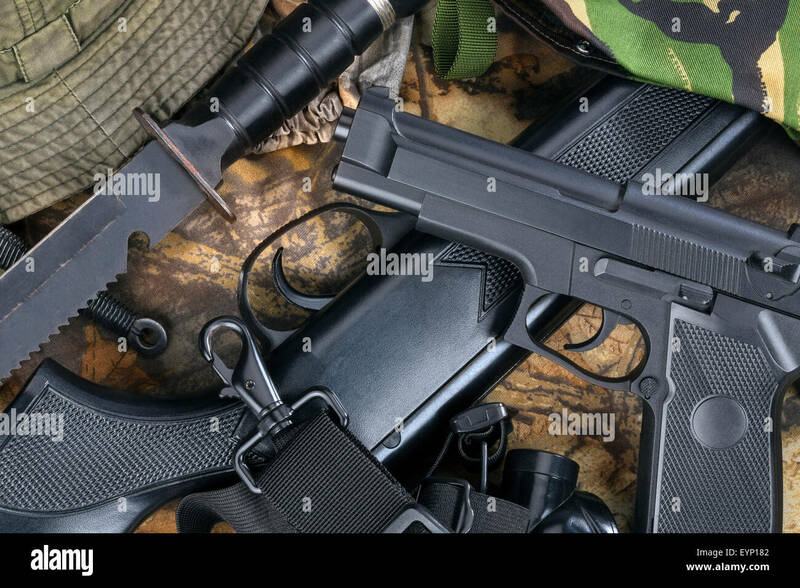 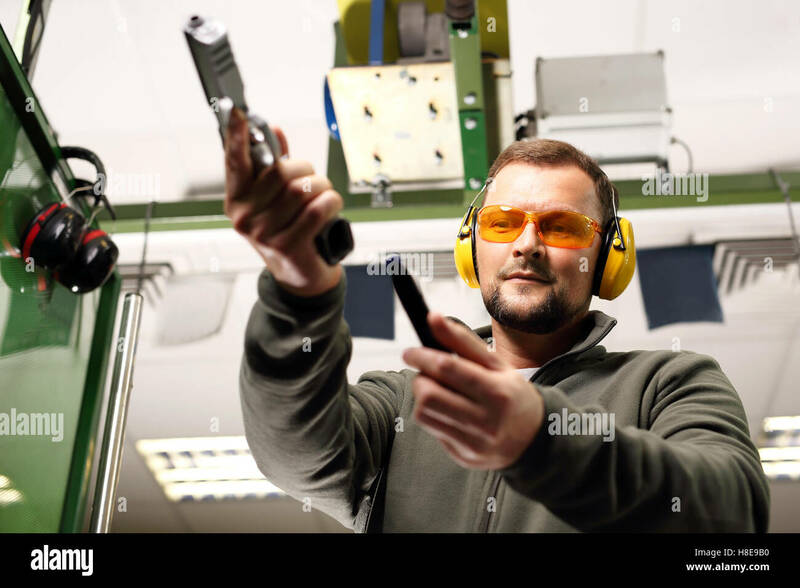 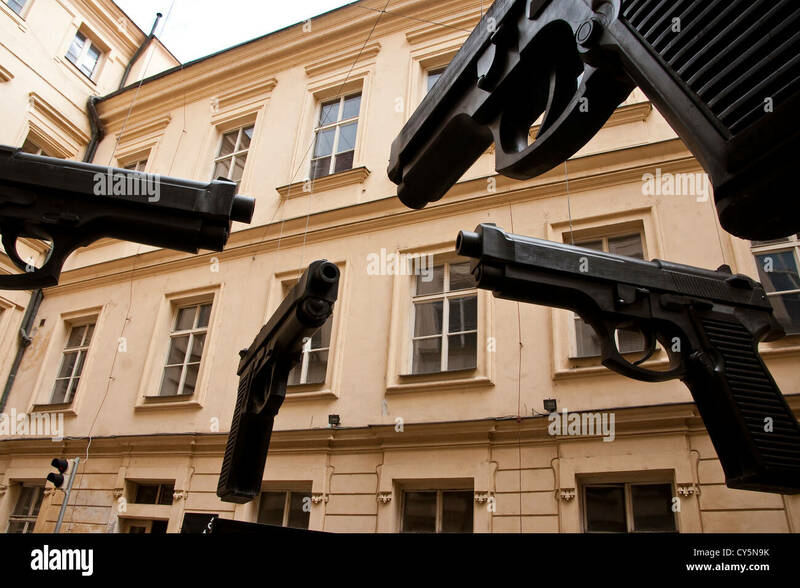 Police carrying guns UK. 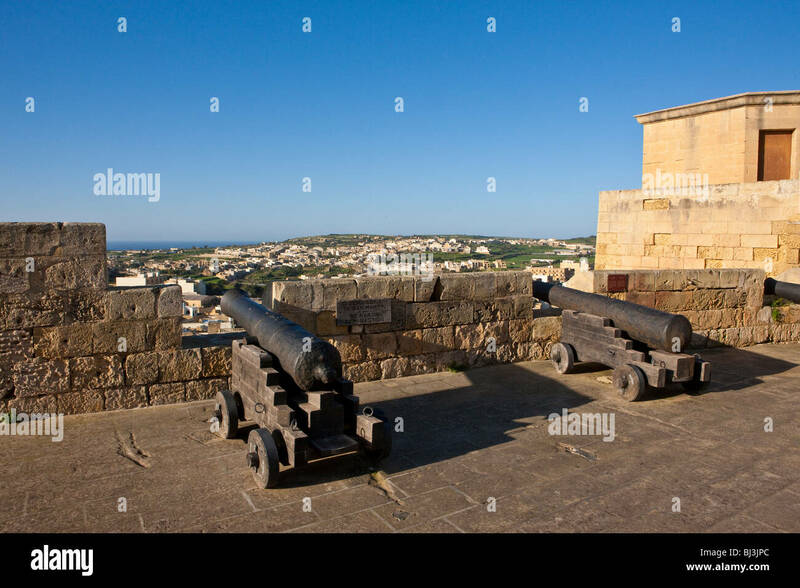 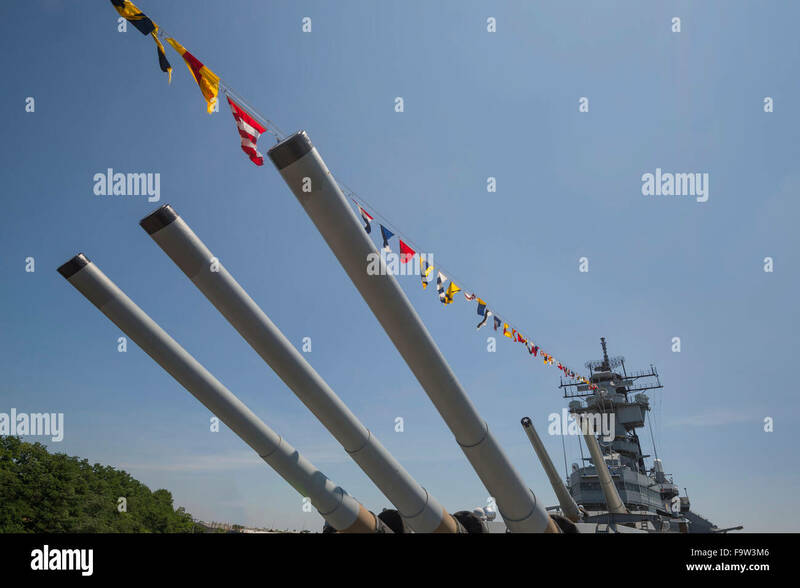 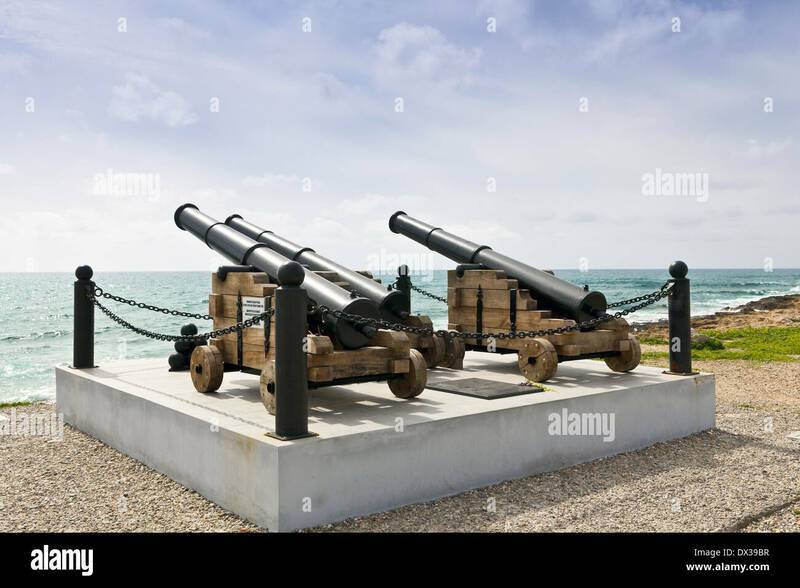 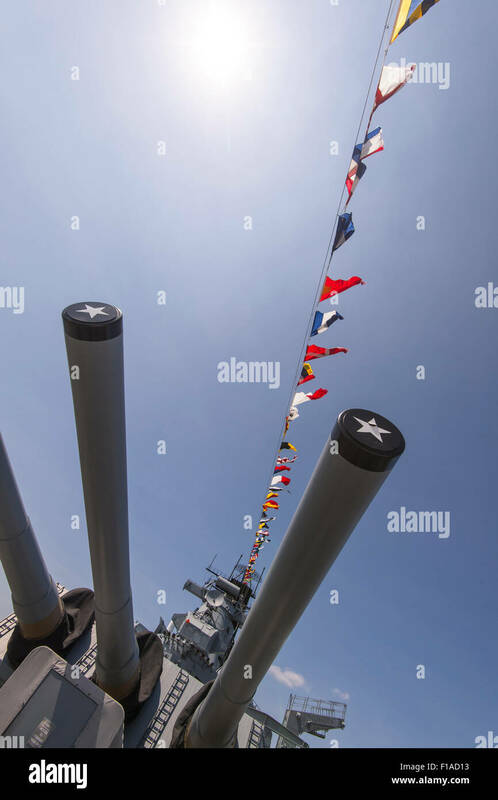 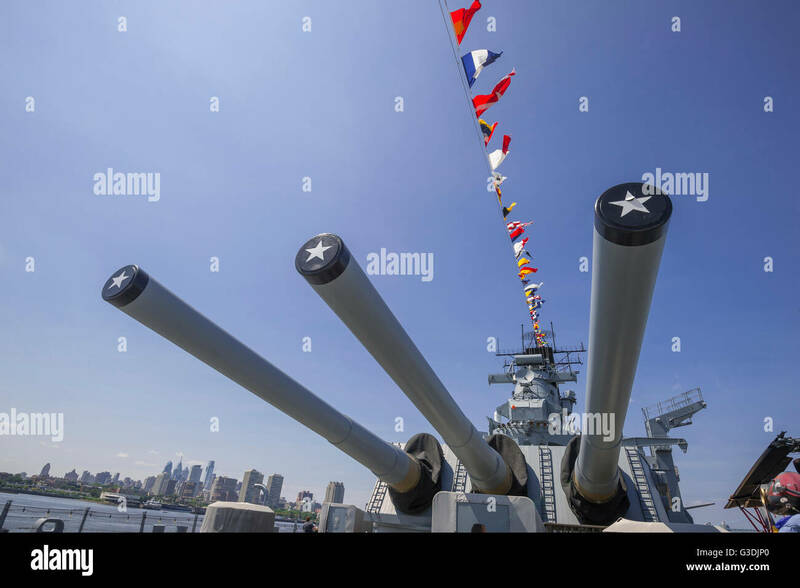 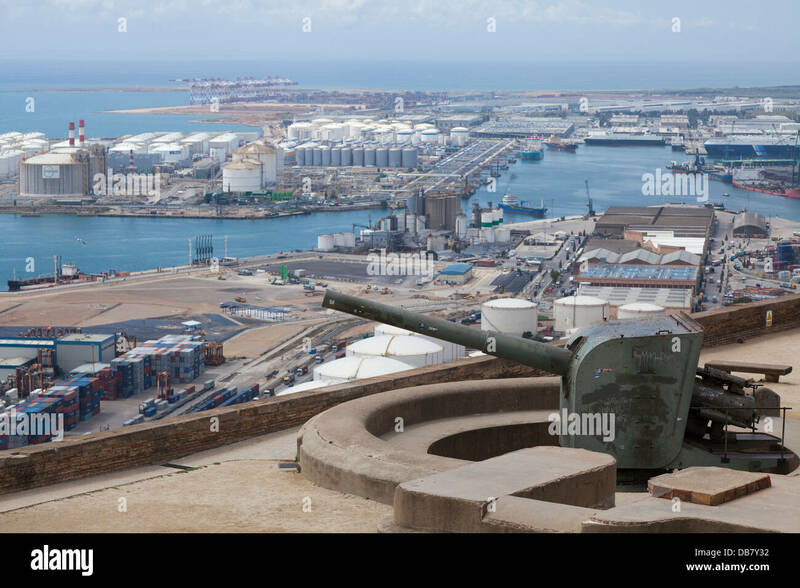 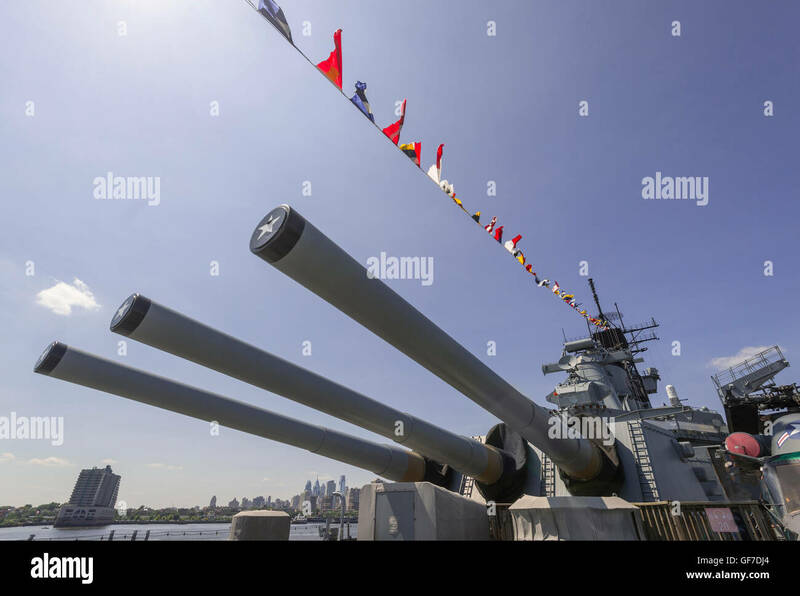 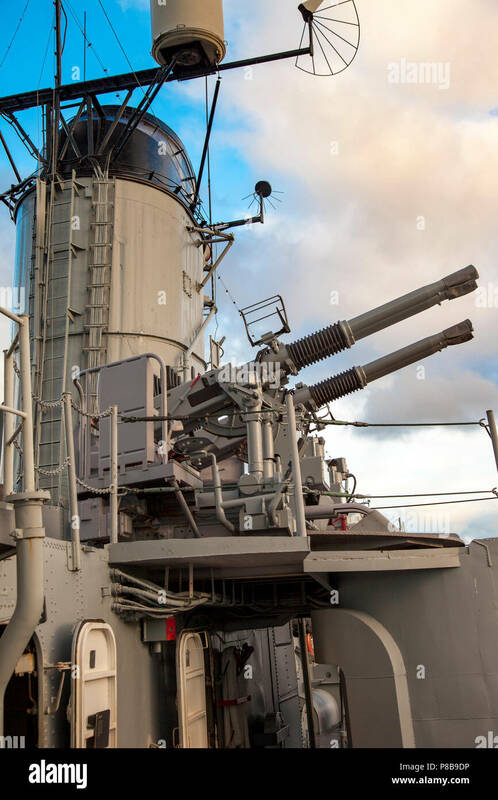 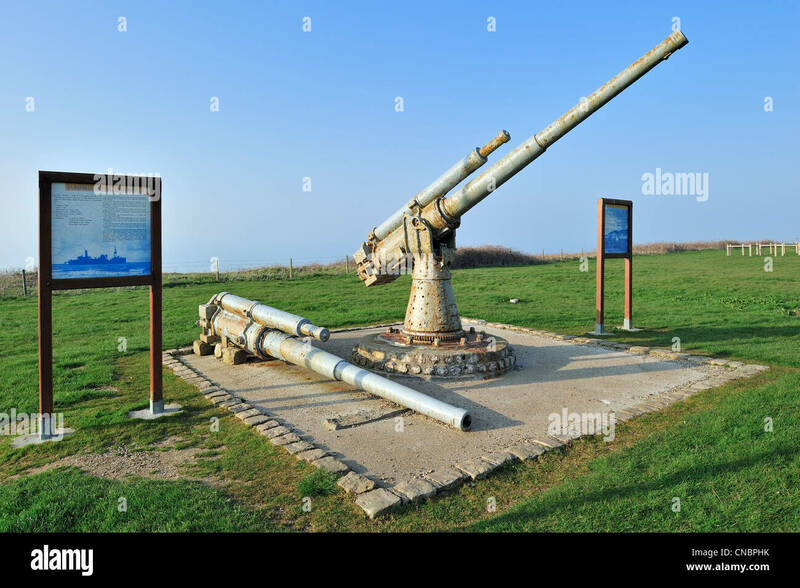 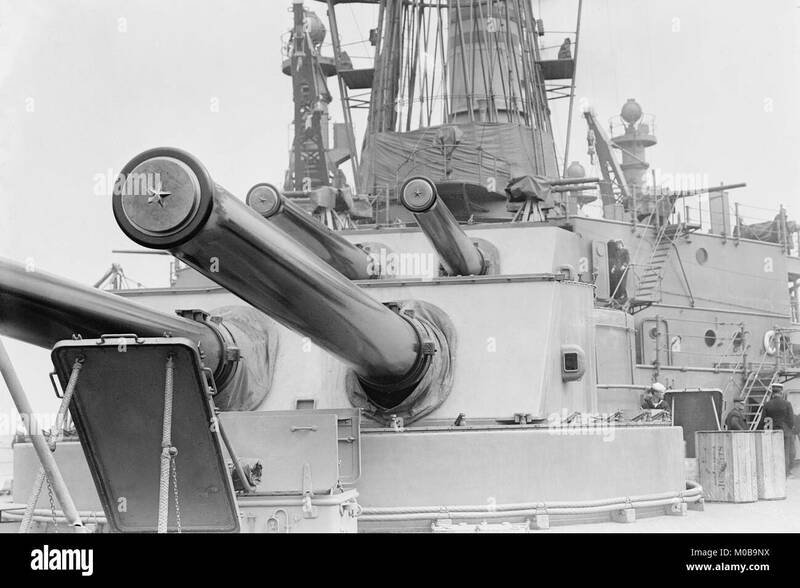 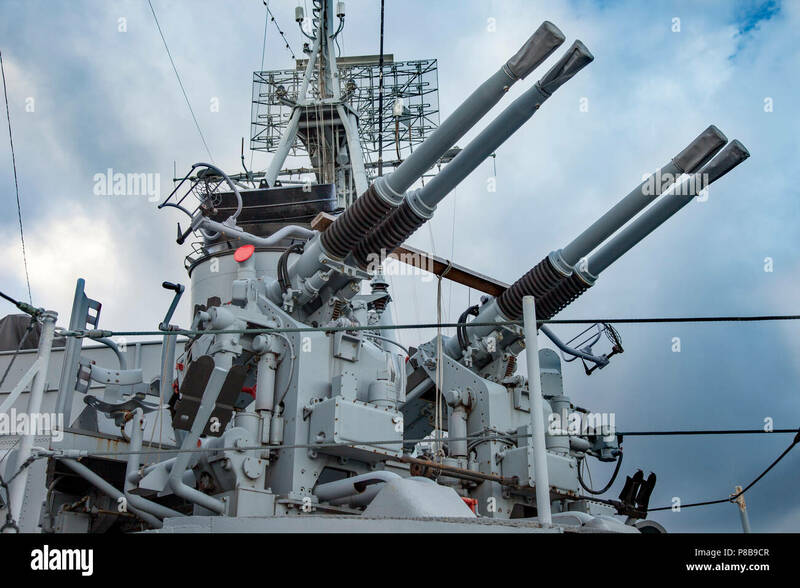 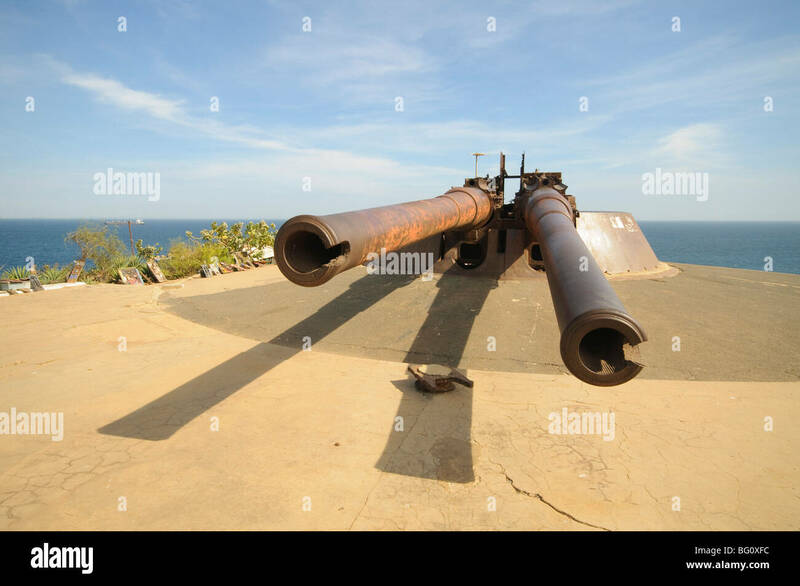 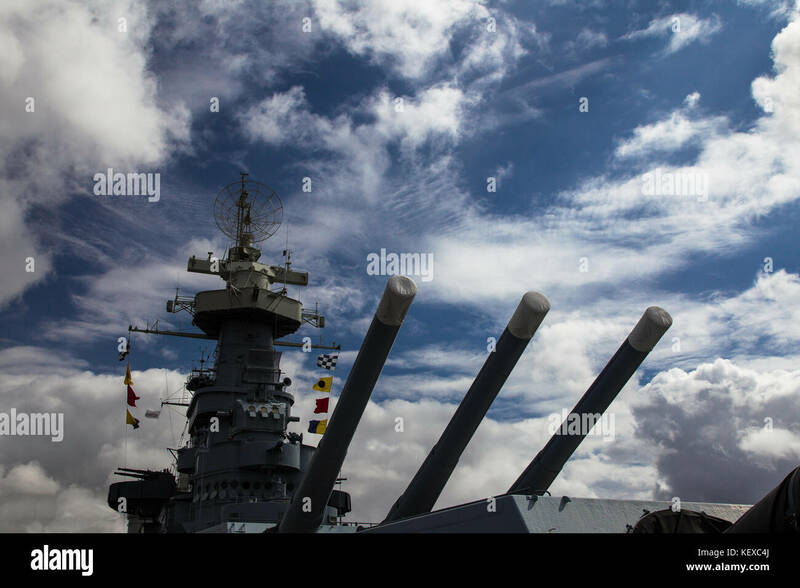 Historic guns at the harbor in Paphos, Cyprus facing the sea. 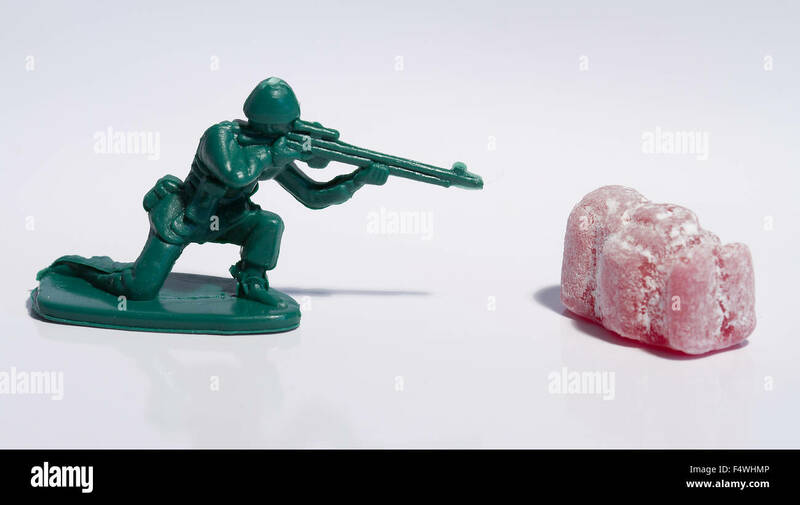 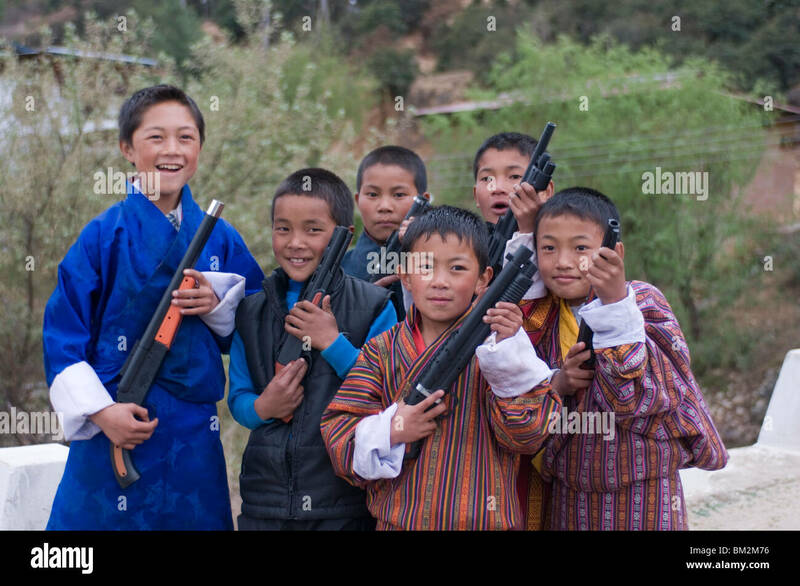 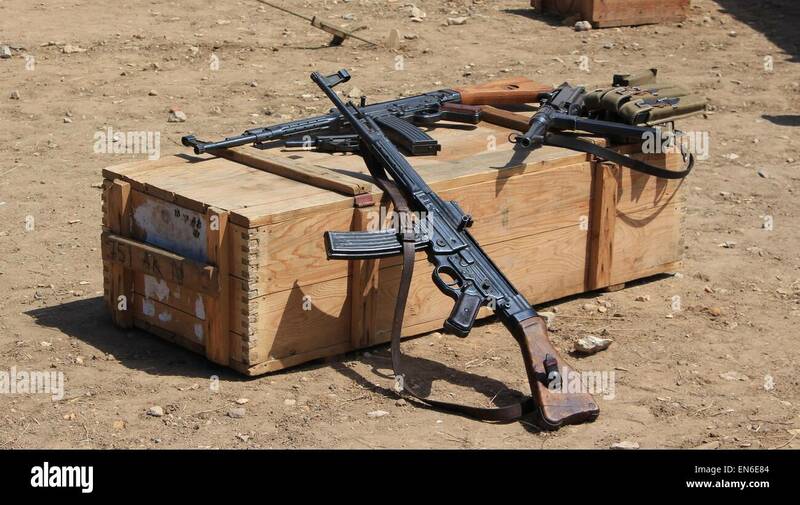 PK machine guns and spent cartridges at the firing range. 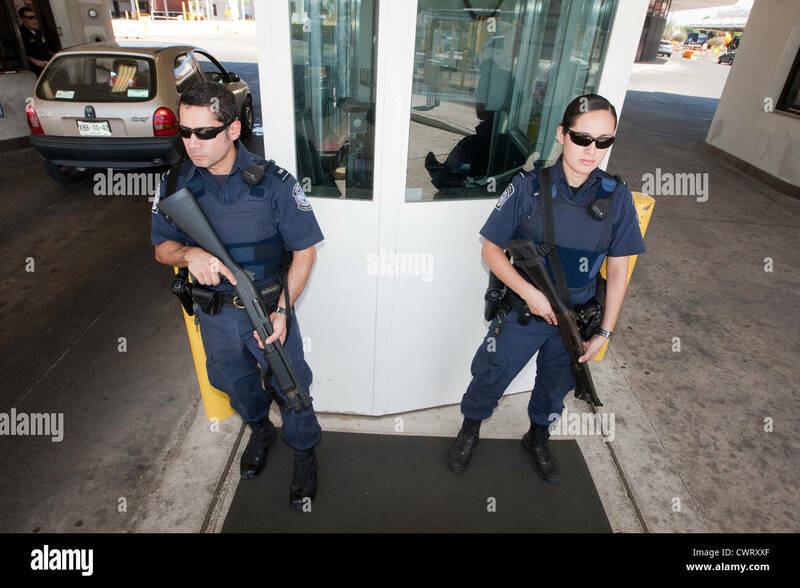 Male and female officers, stand guard with guns at the Laredo, Texas international bridge. 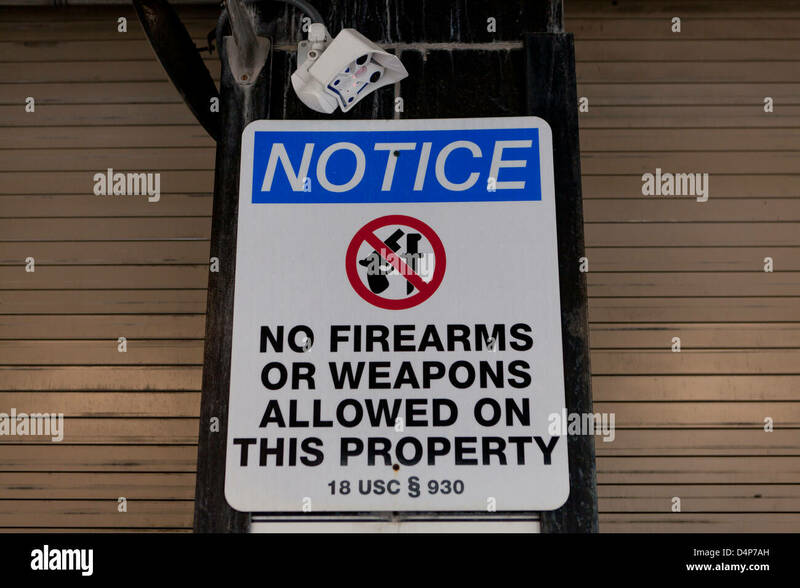 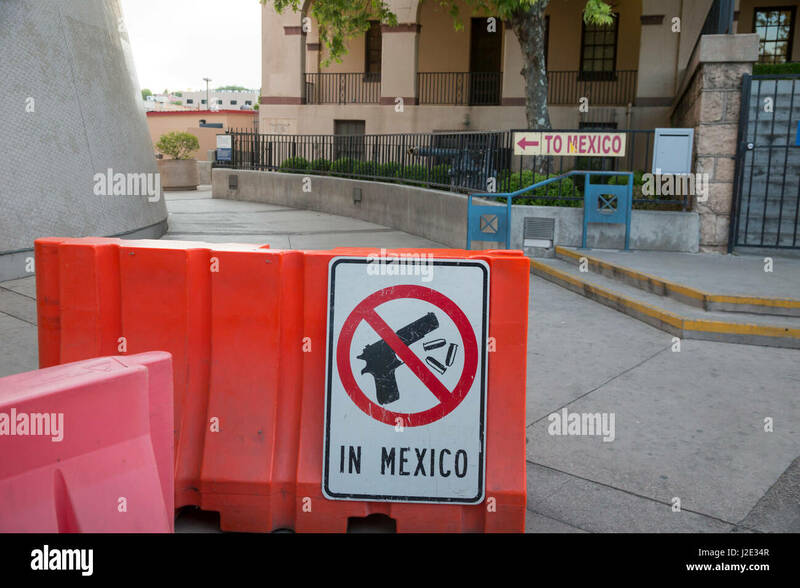 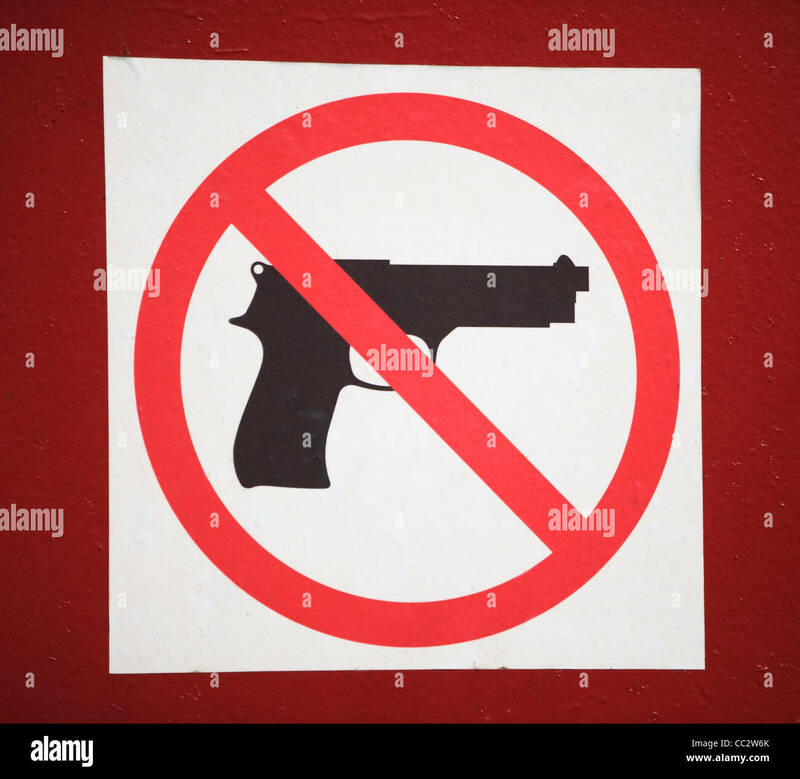 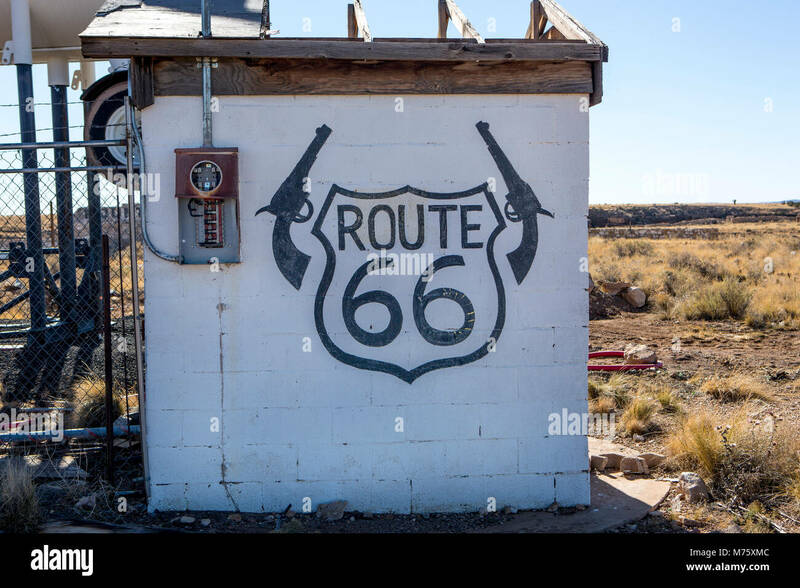 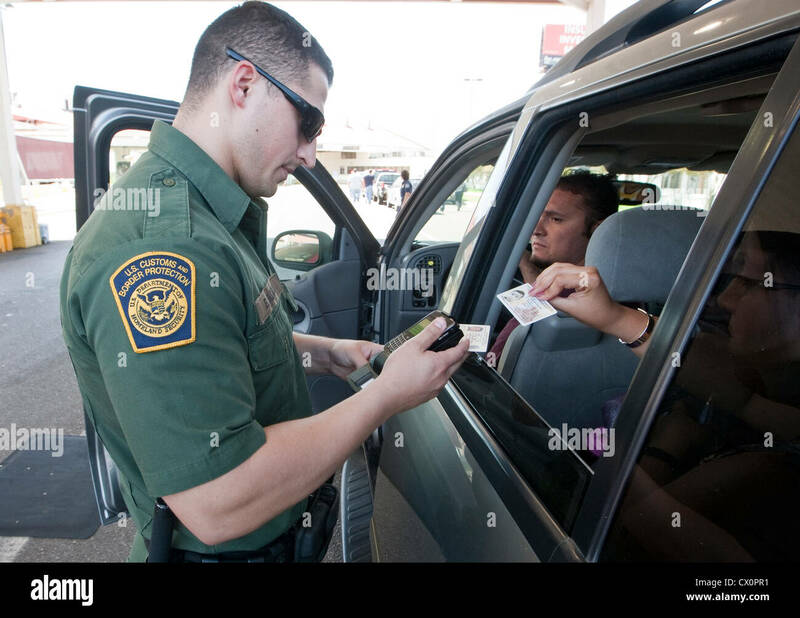 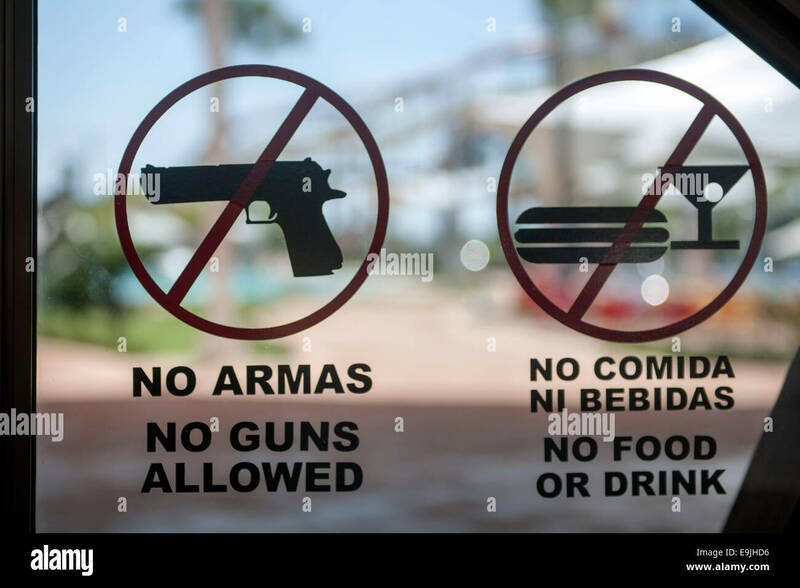 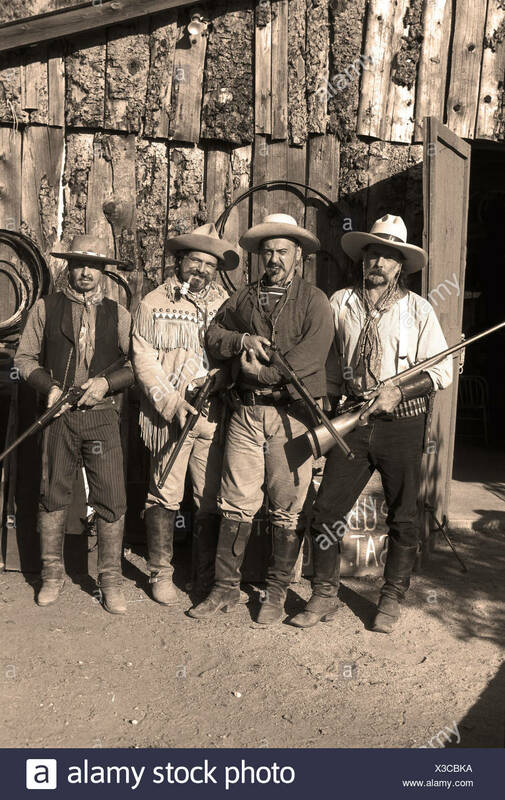 Nogales, Arizona - A sign at the pedestrian border crossing warns that taking guns and ammunition to Mexico is prohibited. 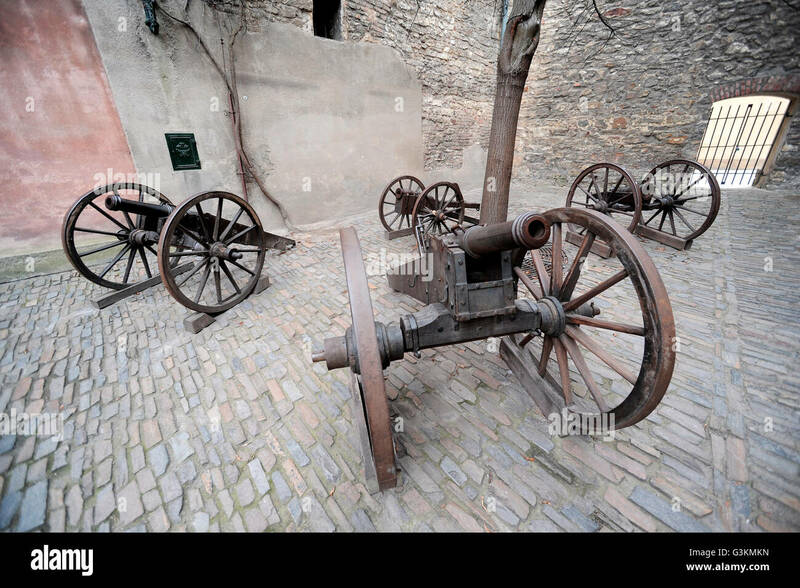 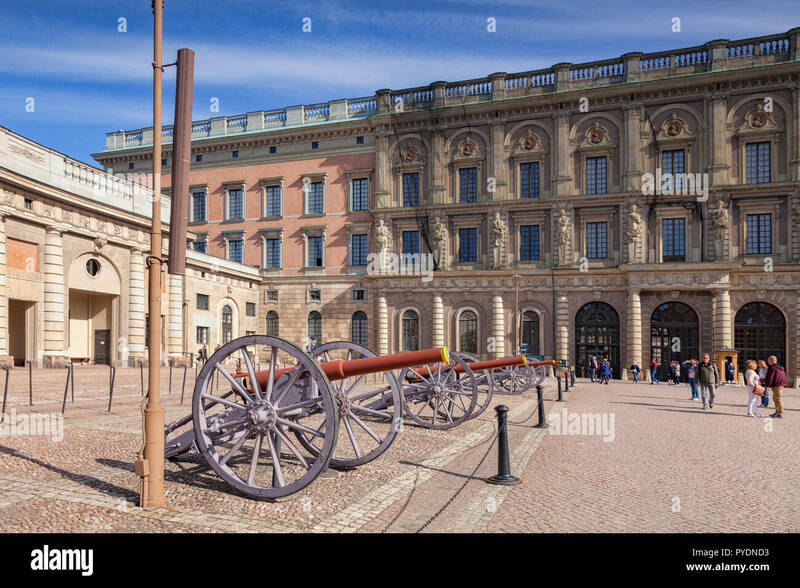 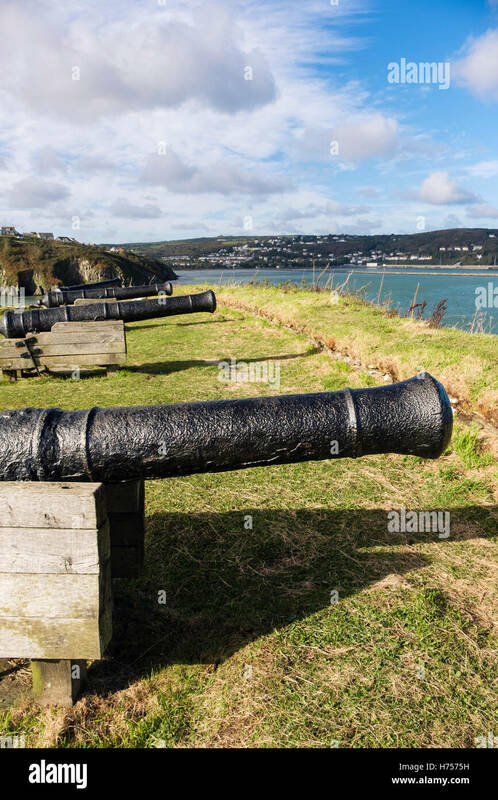 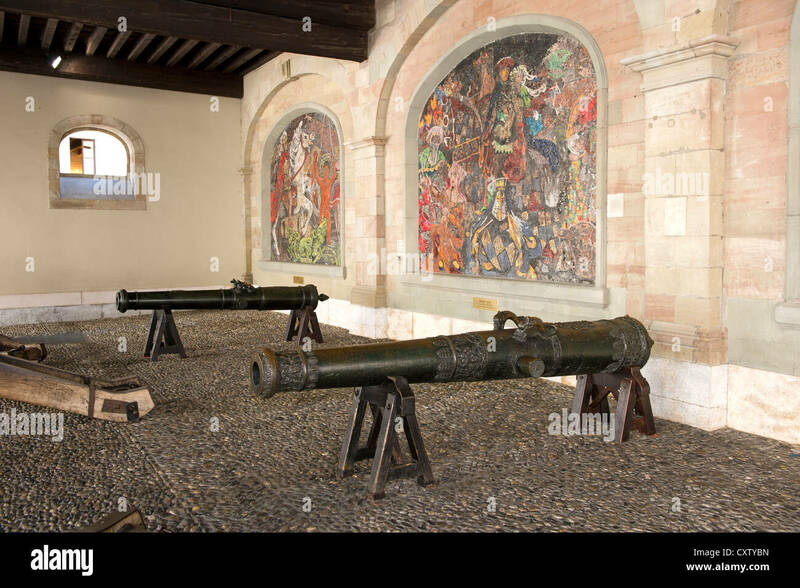 16 September 2018: Stockholm, Sweden - Field guns on display at the Royal Palace. 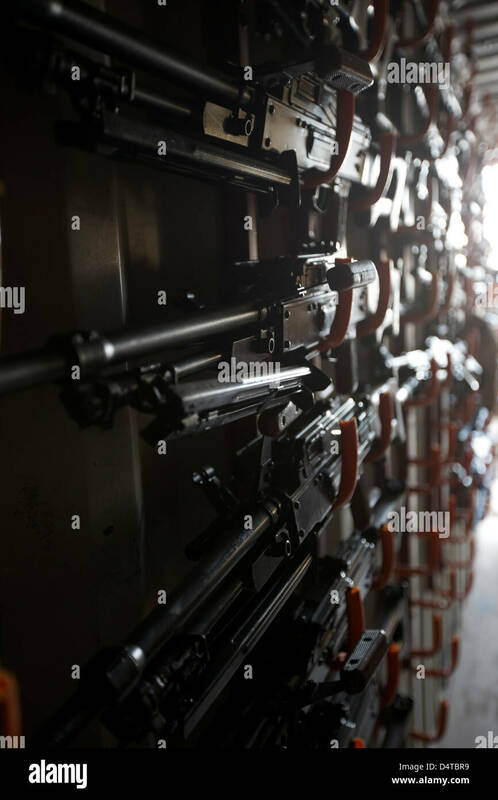 An armory of PK 7.62 mm general-purpose machine guns designed in the Soviet Union. 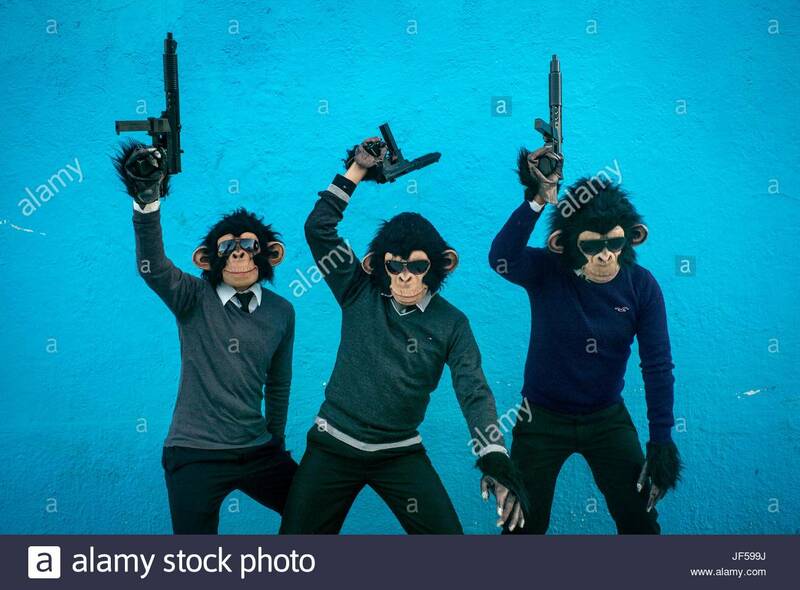 Participants wearing monkey chimpanzee costumes, wield toys guns during a Day of the Dead celebration. 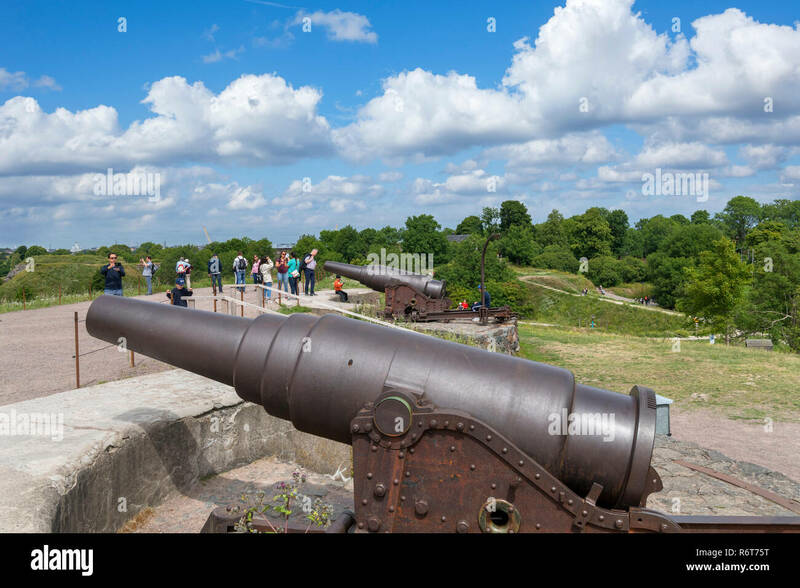 Suomenlinna, Helsinki. 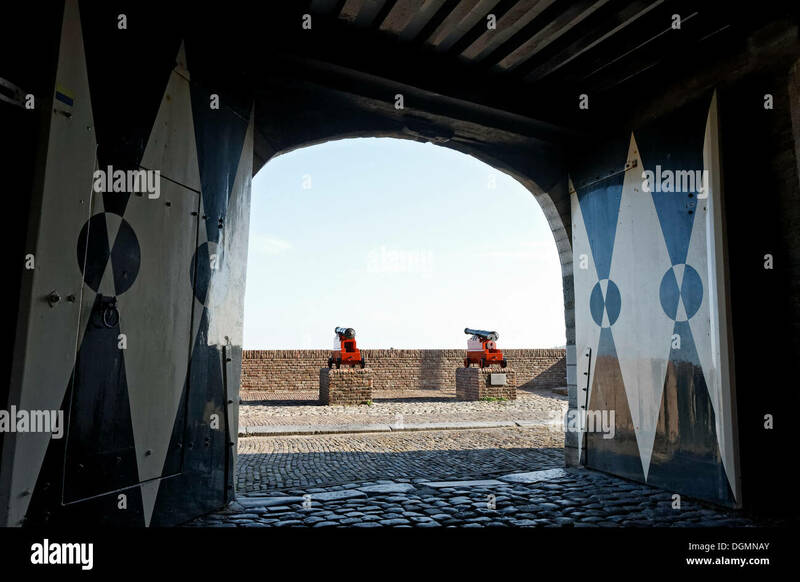 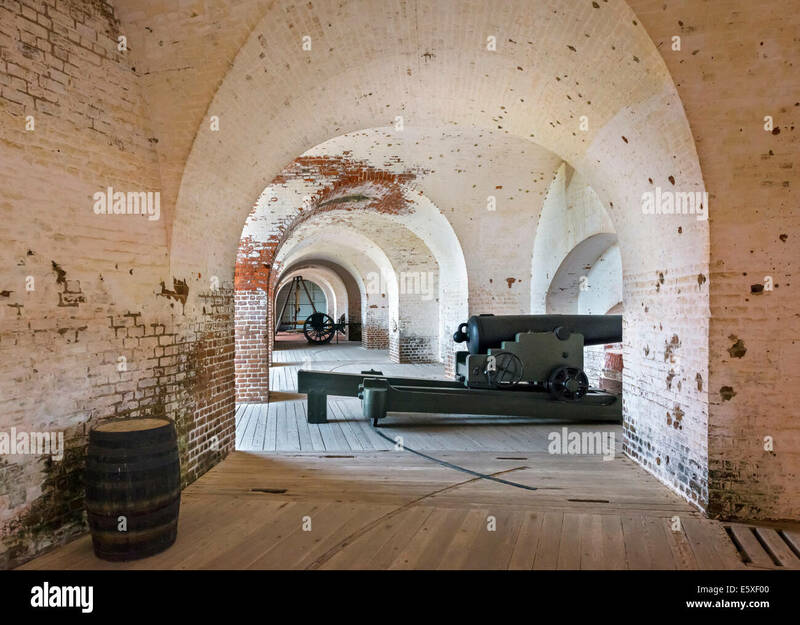 Guns on the walls of the fortress at Suomenlinna, Kustaanmiekka island, Suomenlinna, Helsinki, Finland. 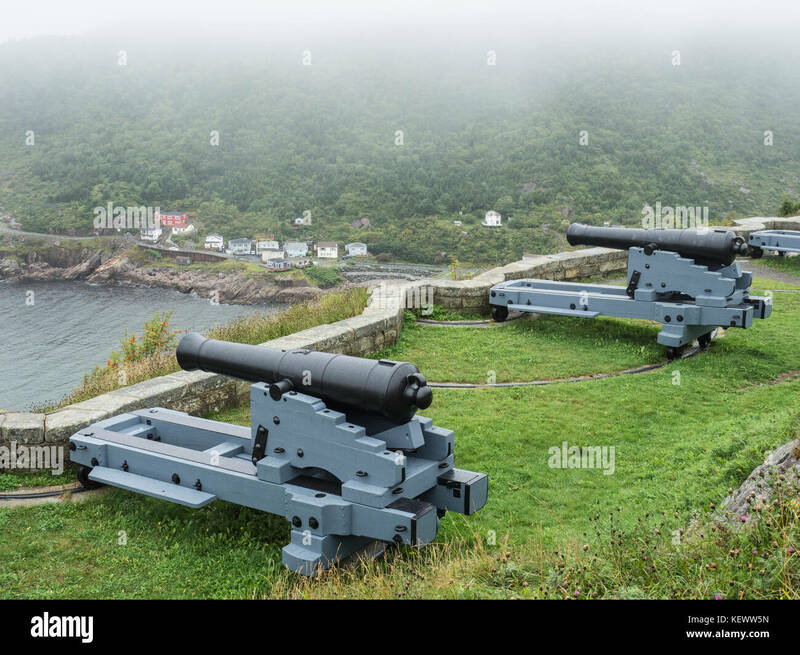 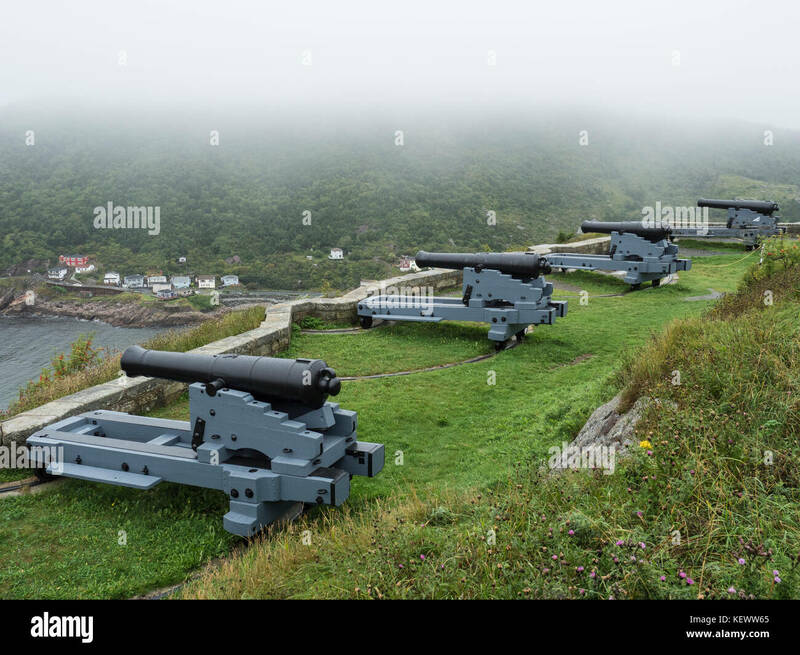 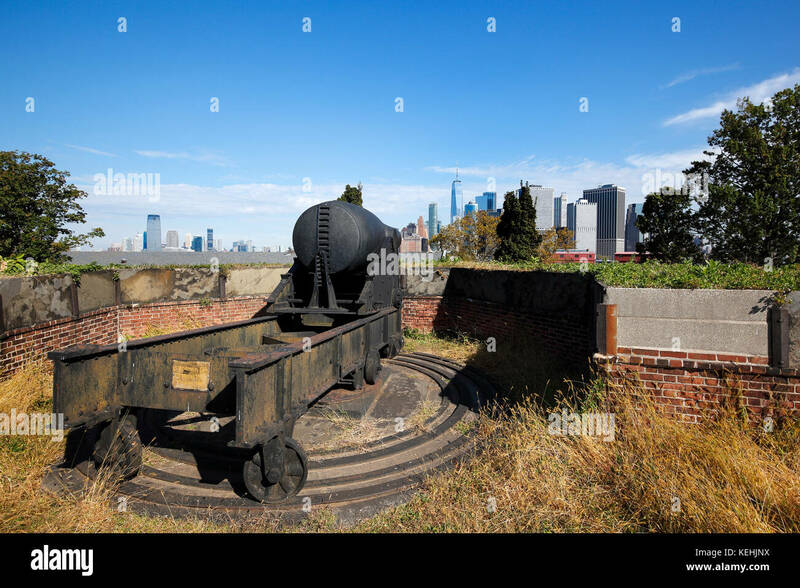 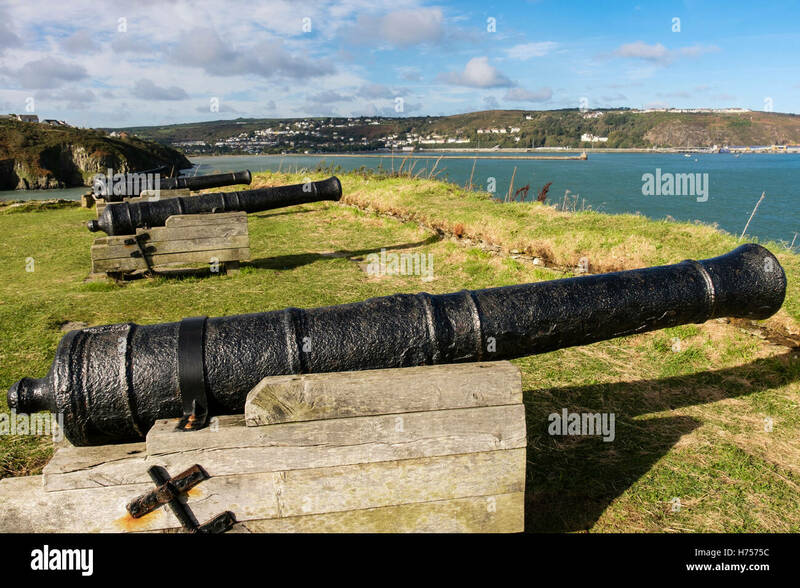 32-pounder long guns, Signal Hill National Historic Site, Saint John's, Newfoundland, Canada. 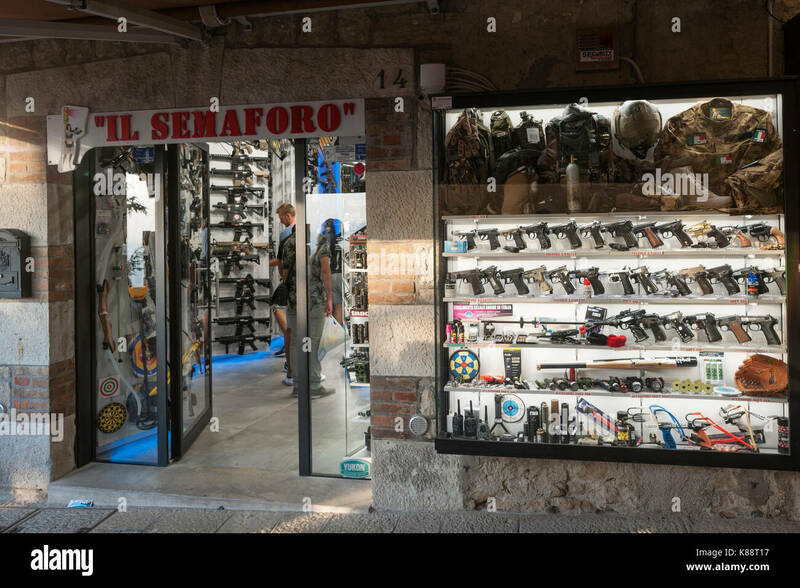 One of numerous shops specialising in air guns and replica weapons in the old town in San Marino. 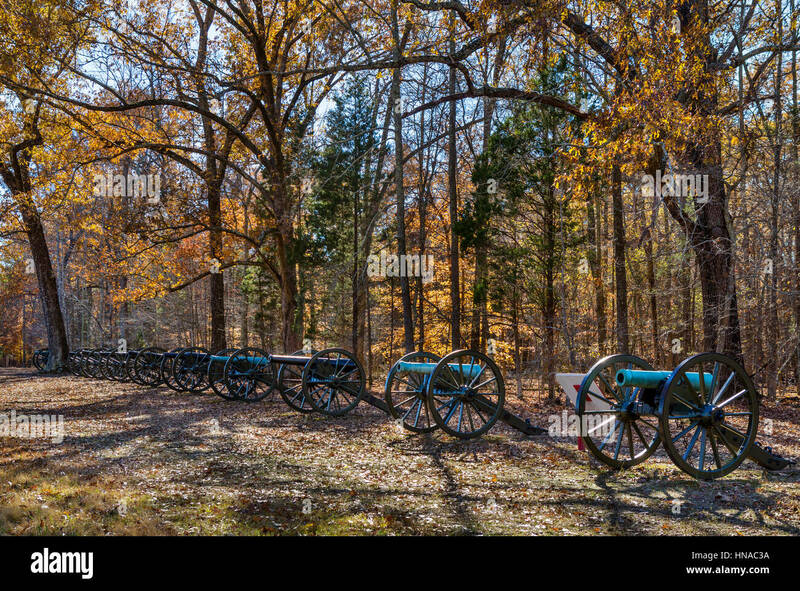 Shiloh National Military Park, Tennessee, USA. 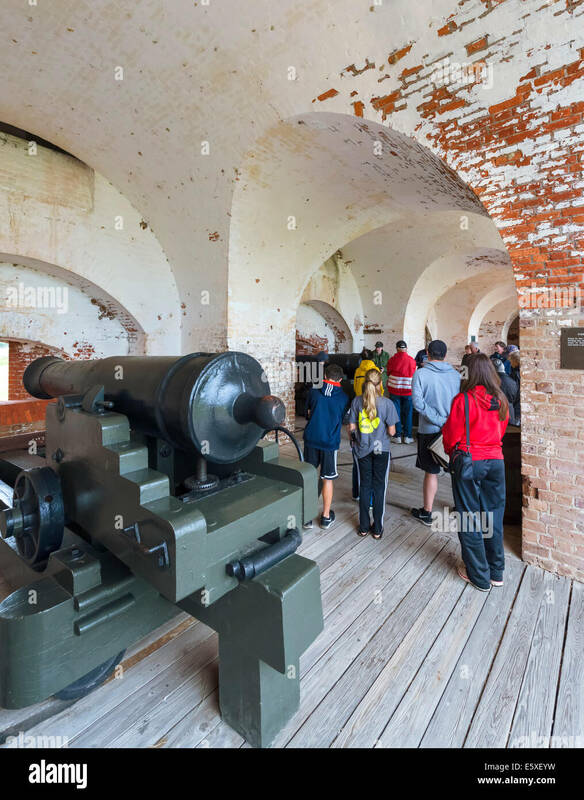 Ruggles Battery, a Confederate Army emplacement of guns during the Battle of Shiloh. 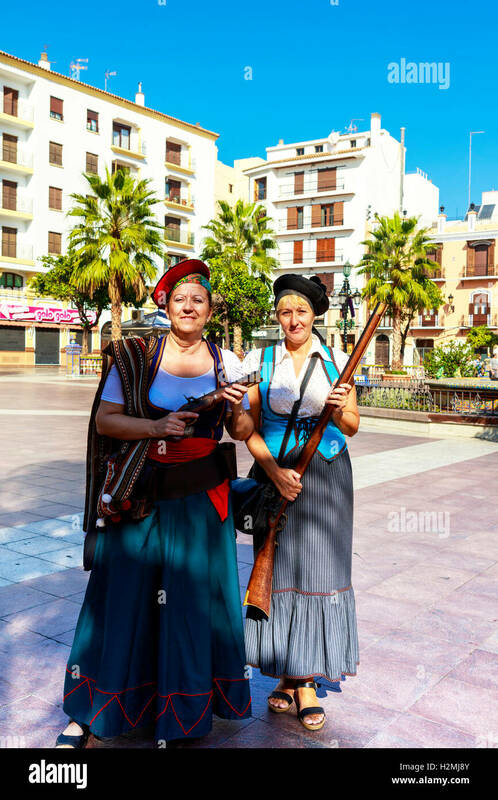 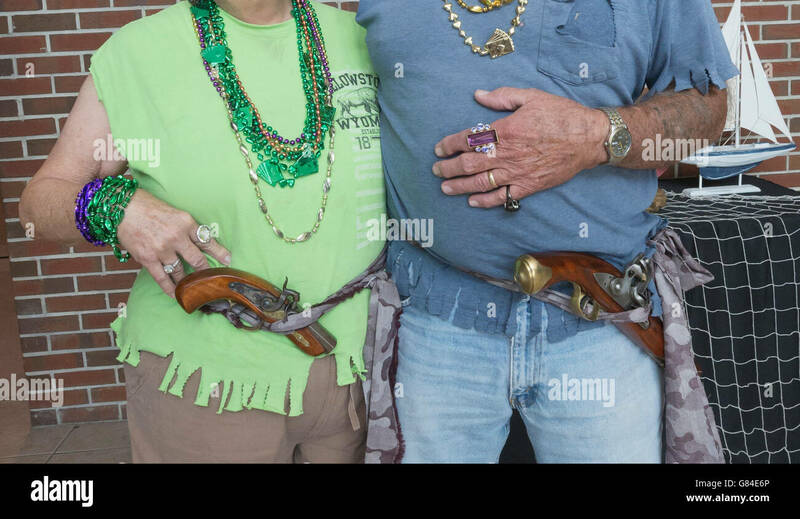 Two ladies in corsair costume with guns at the Plaza Alta in Algeciras, Spain. 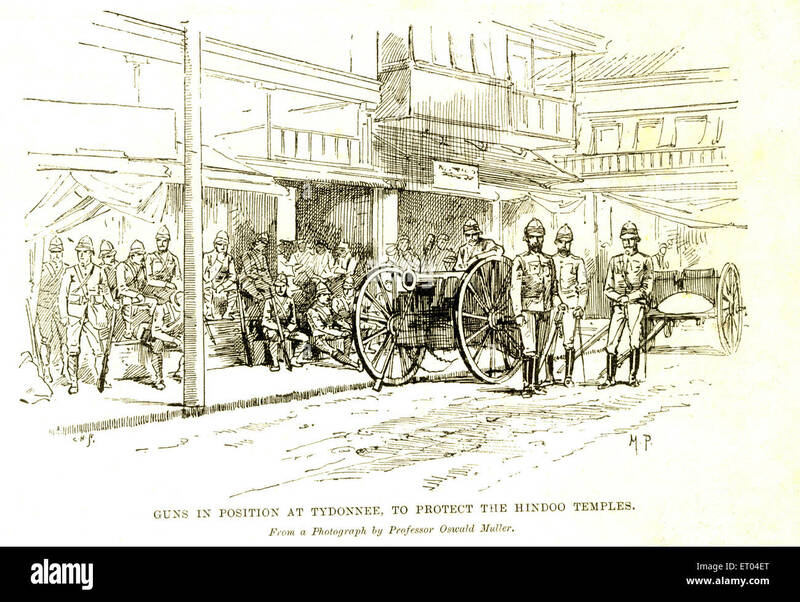 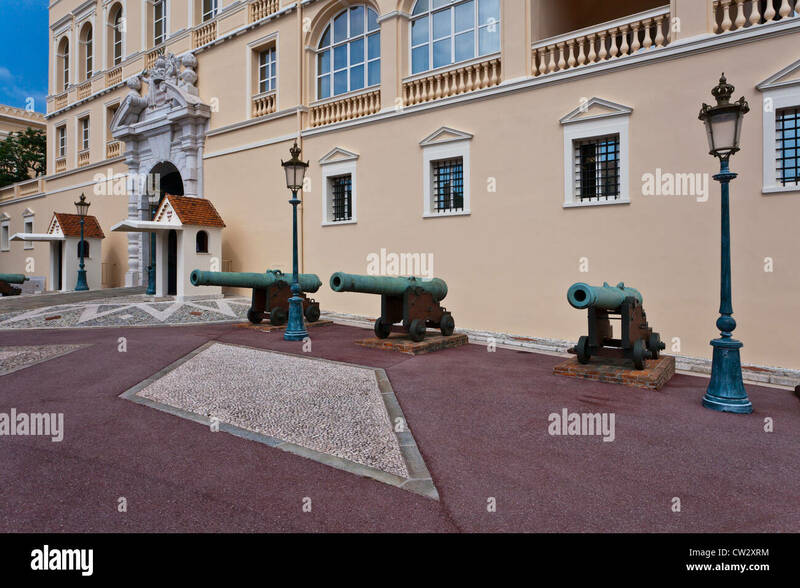 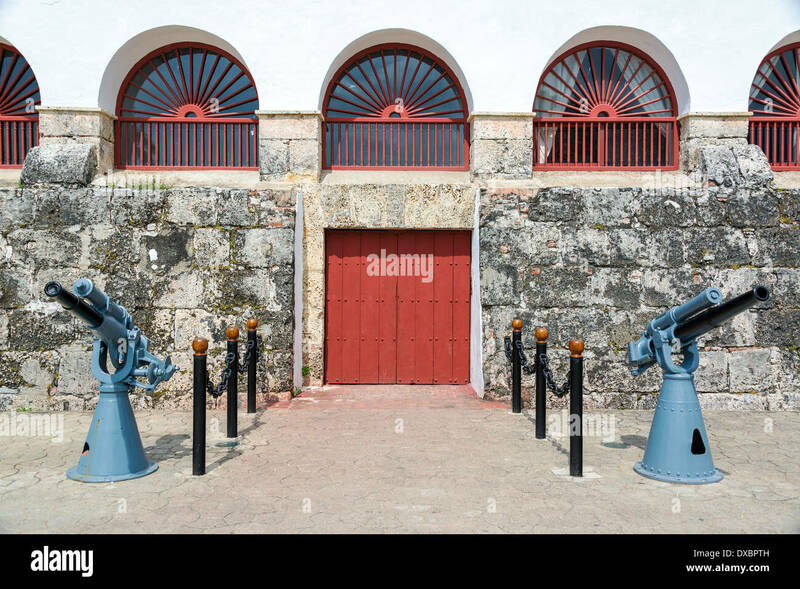 The historic entrance to the Prince's Palace of Monaco with canon guns. 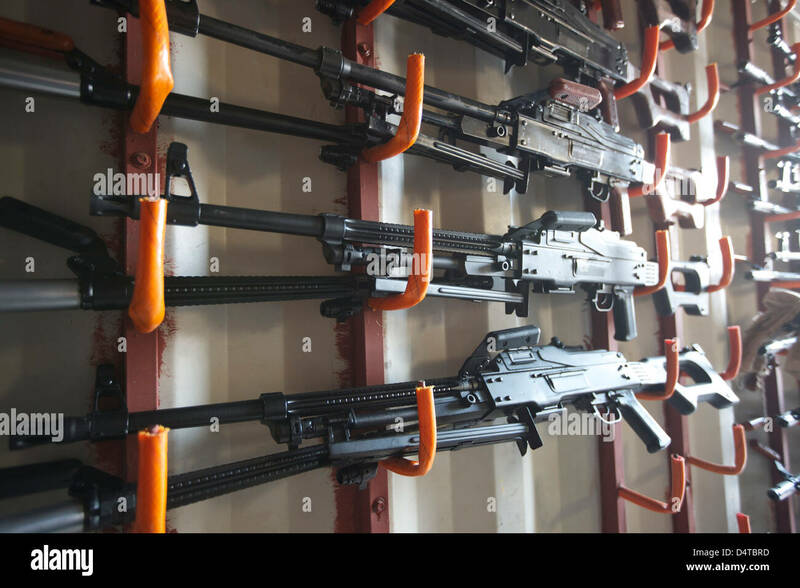 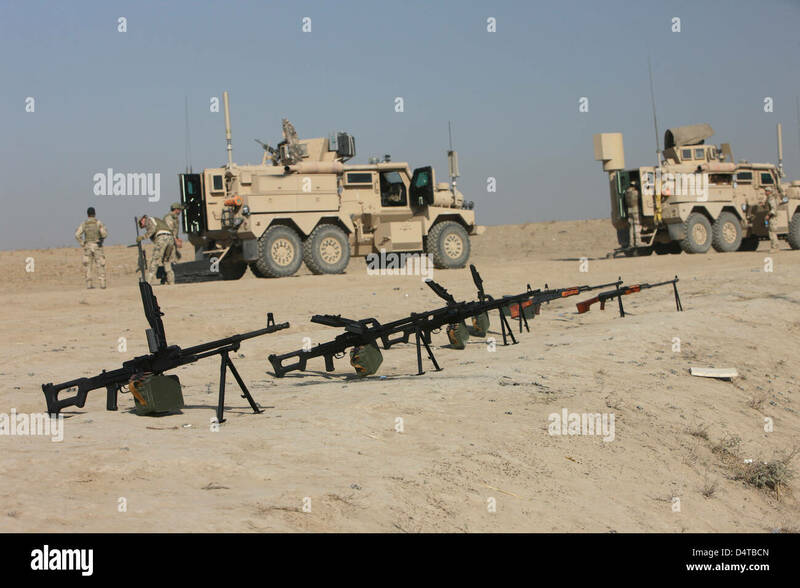 PK 7.62 mm general-purpose machine guns and RPK Kalashnikov rifles sit ready on a firing range in Kunduz, Afghanistan.